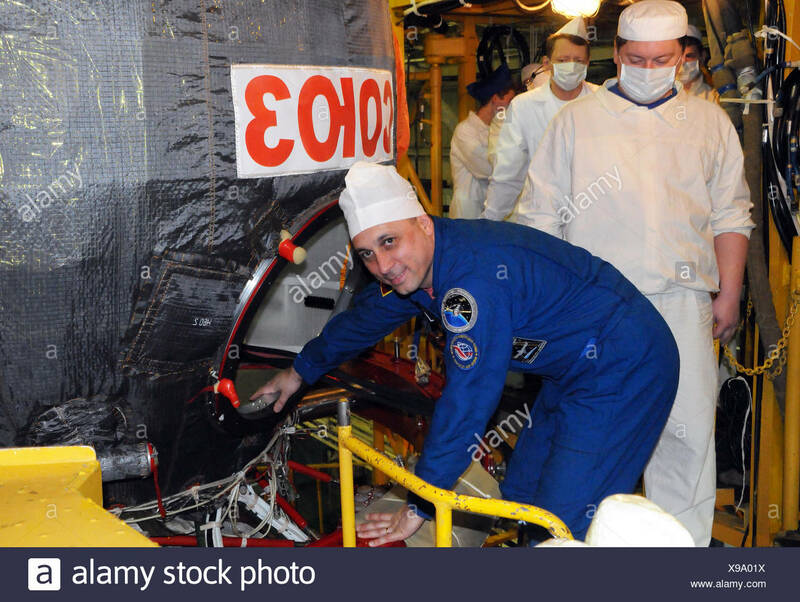 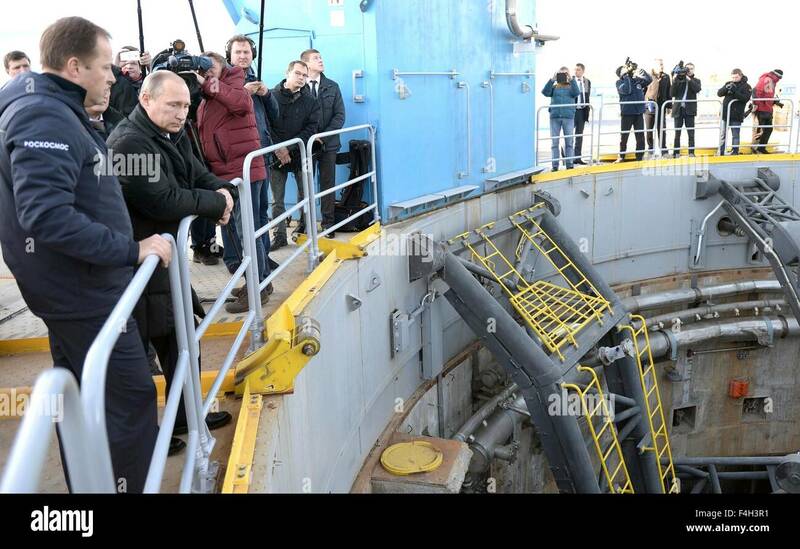 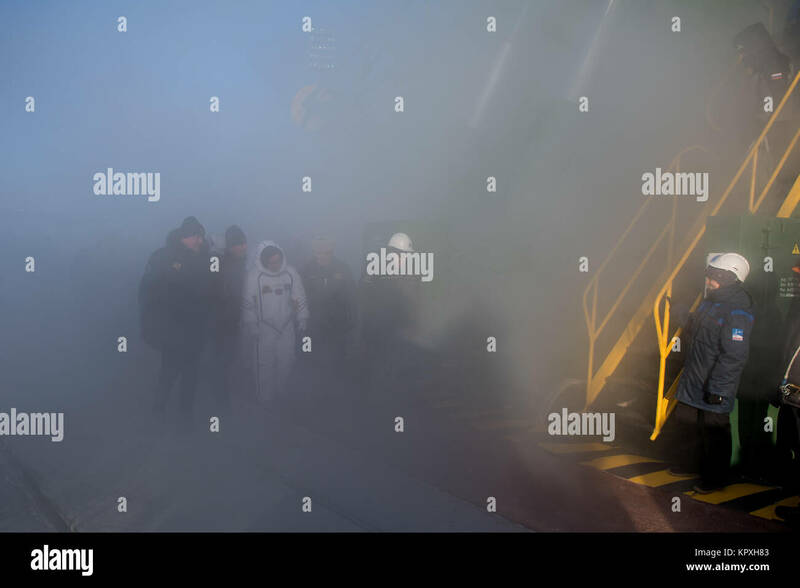 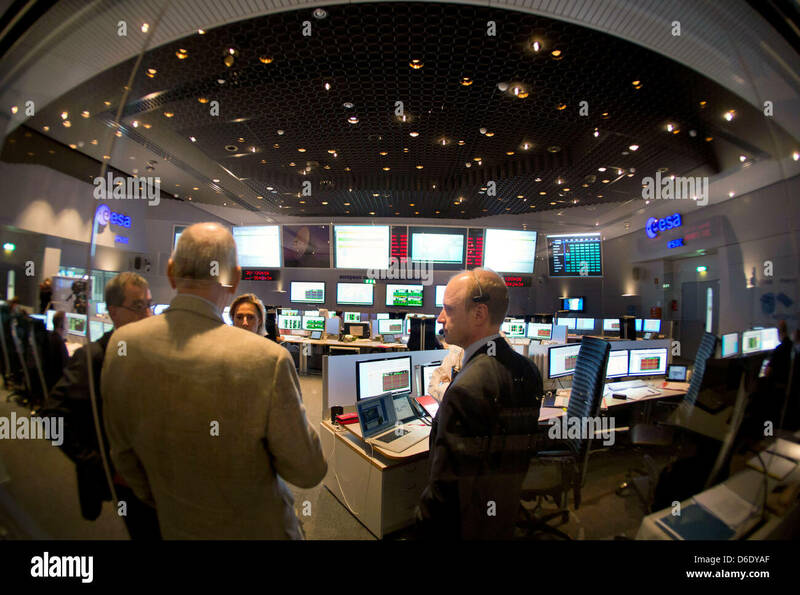 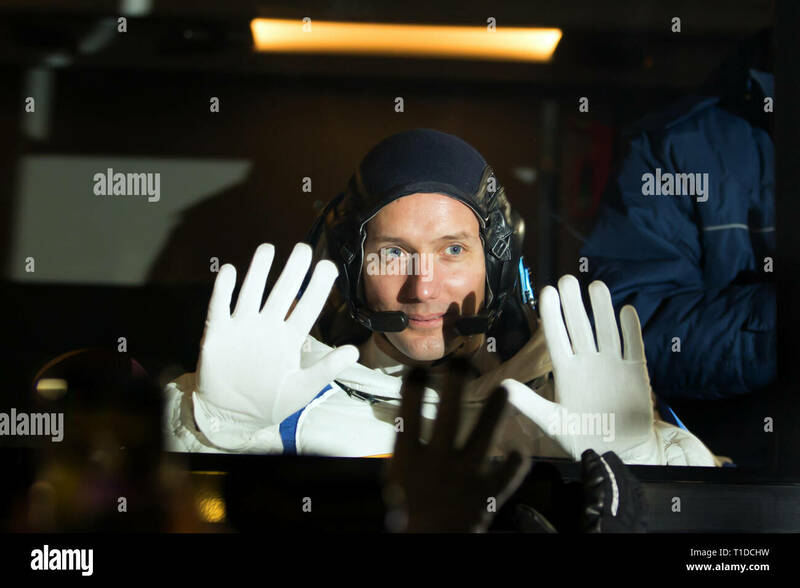 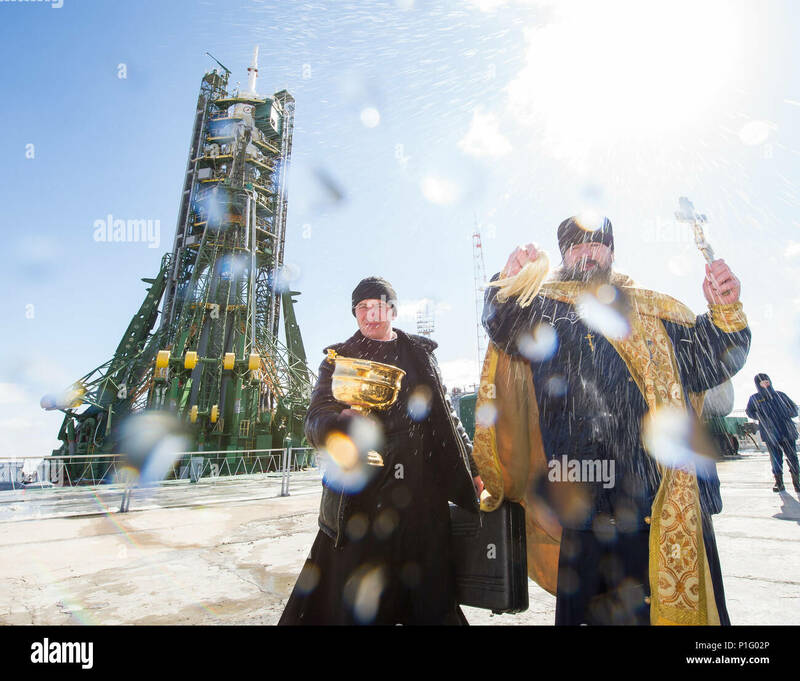 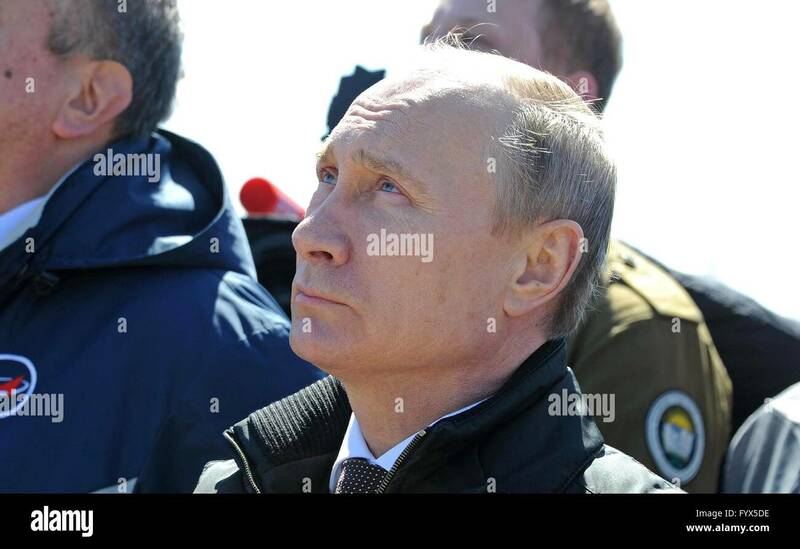 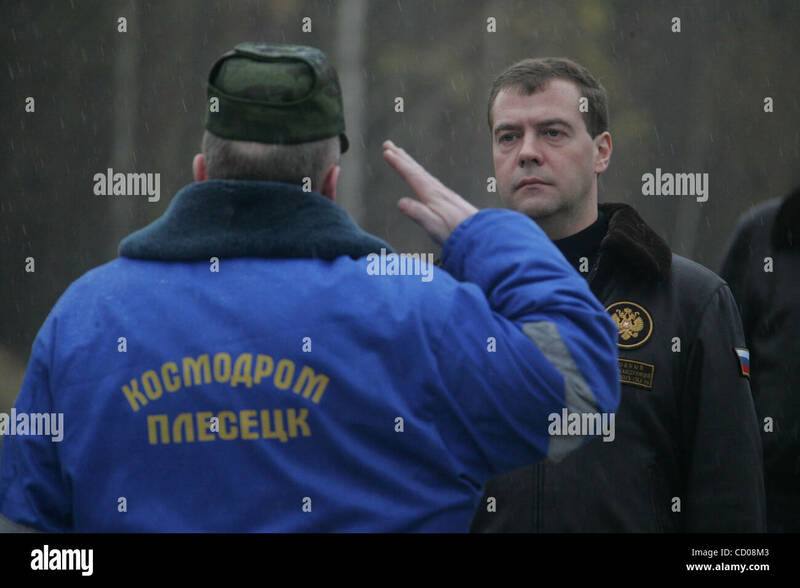 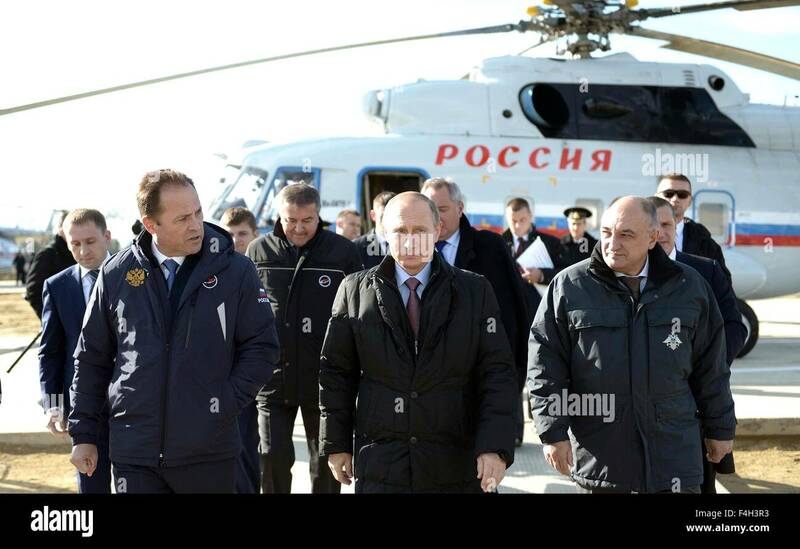 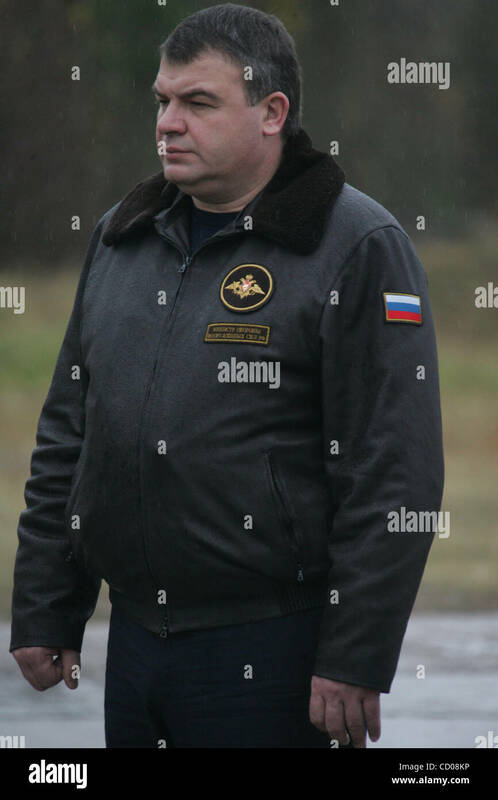 Russian President Vladimir Putin, escorted by the Russian Federal Space Agency head Igor Komarov, left, arrives at the Vostochny Cosmodrome October 14, 2015 near Uglegorsk, Russia. 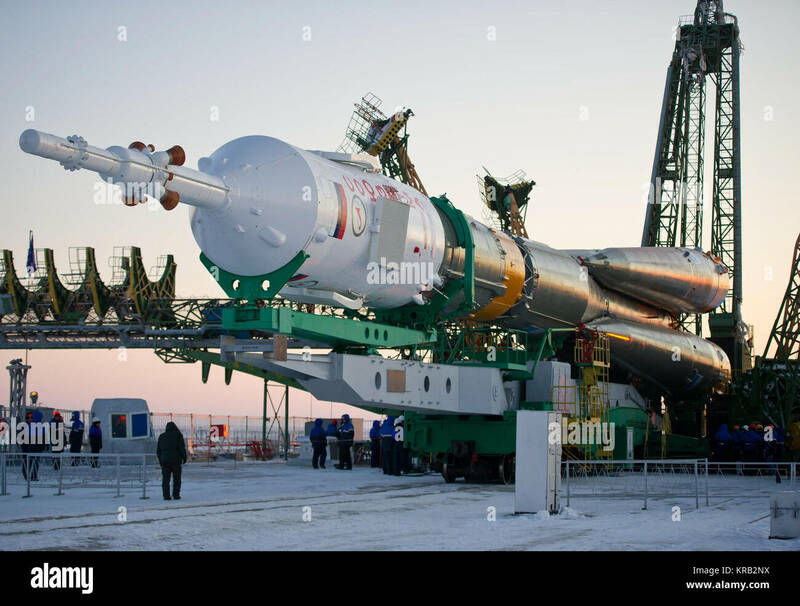 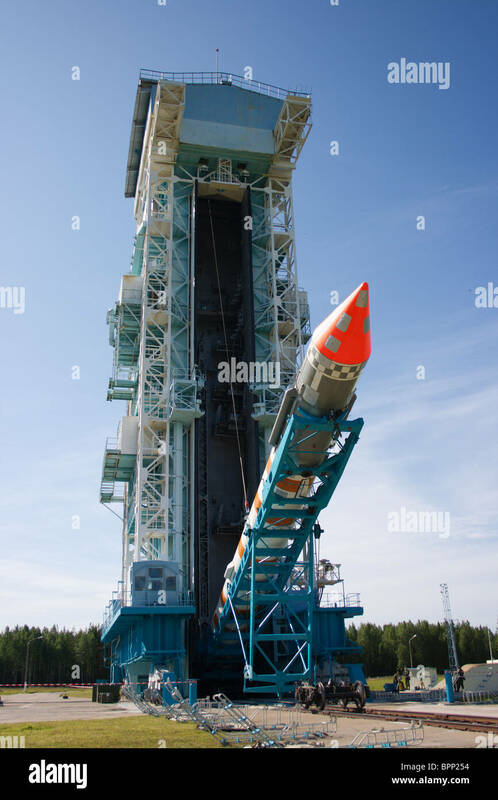 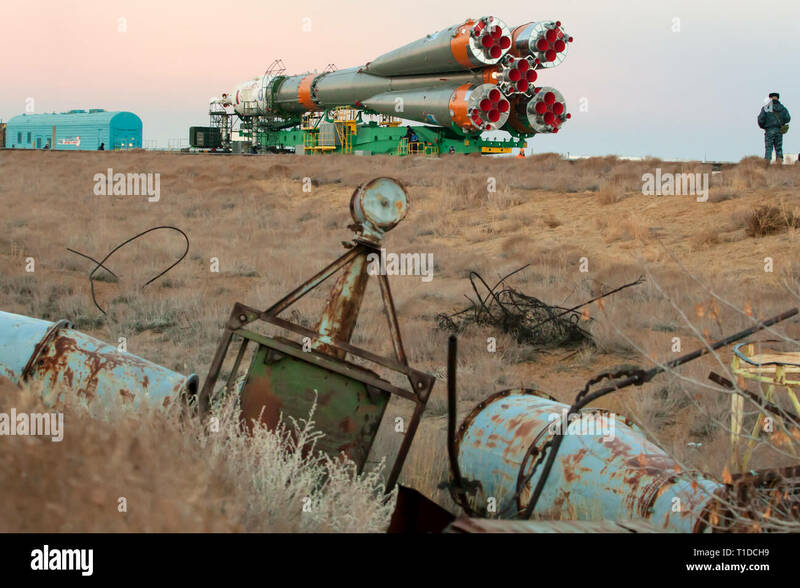 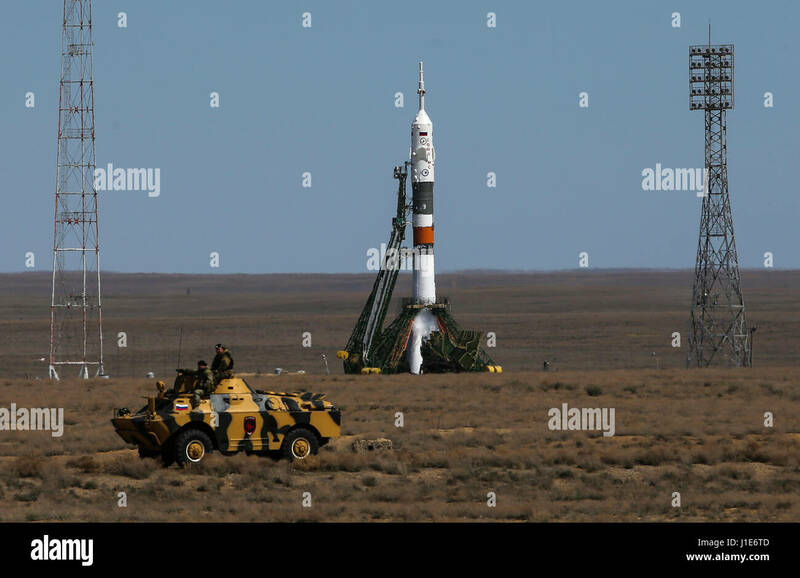 The Soyuz rocket shortly after arrival to the launch pad at the Baikonur Cosmodrome. 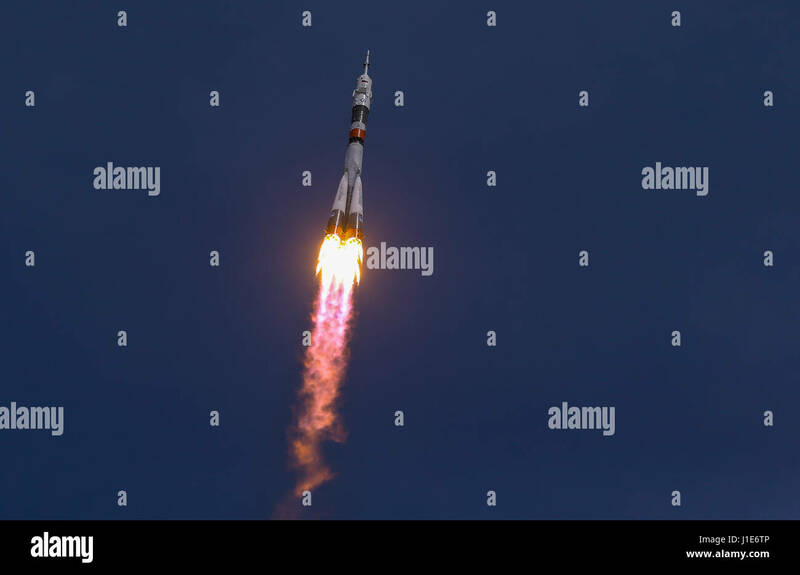 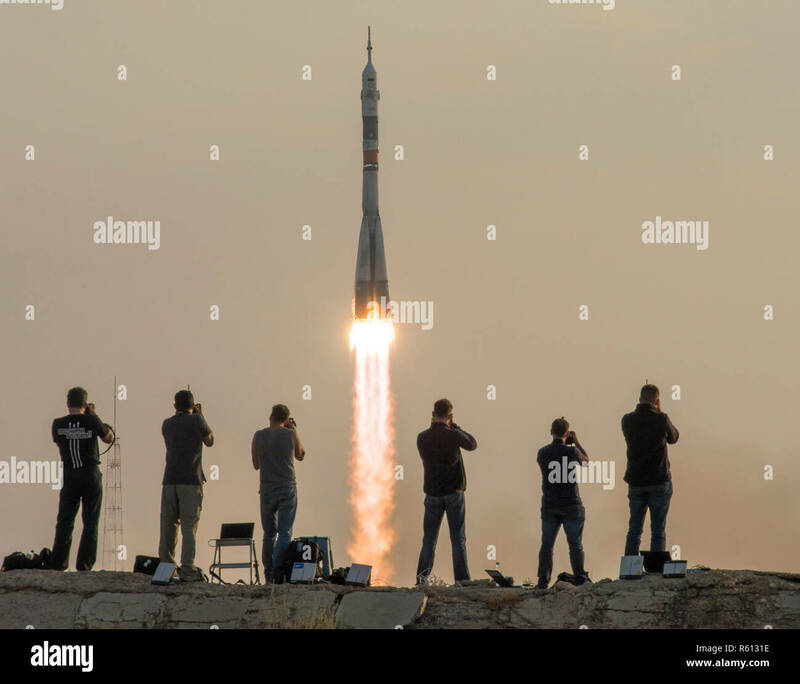 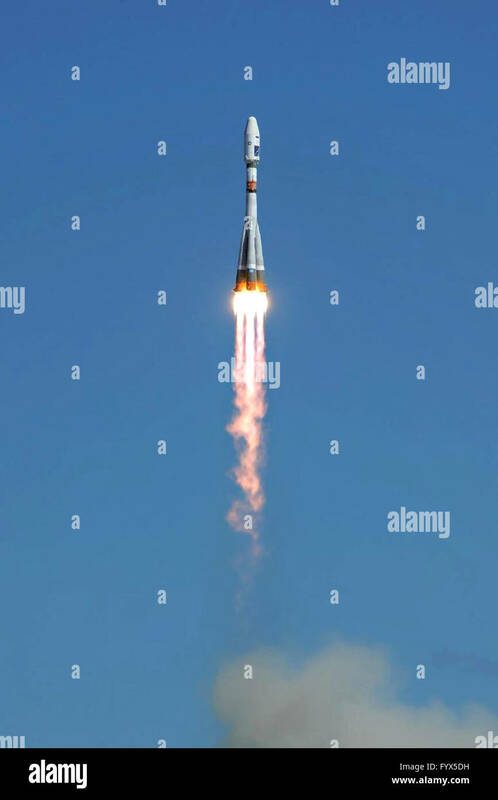 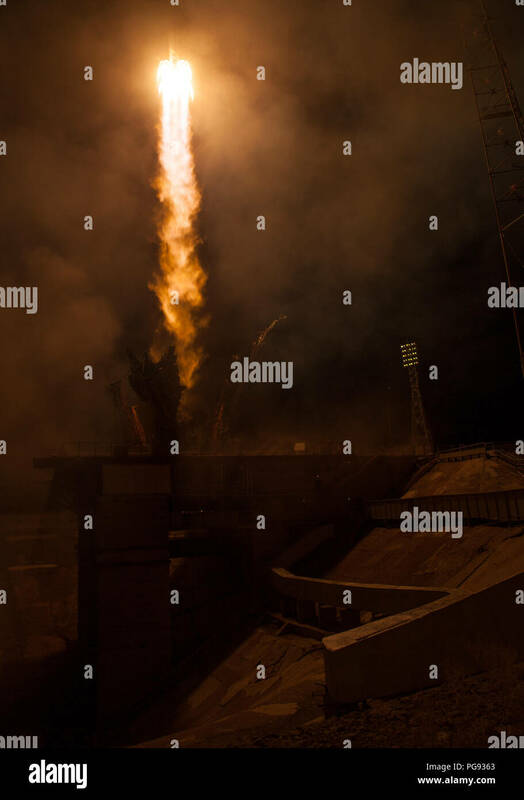 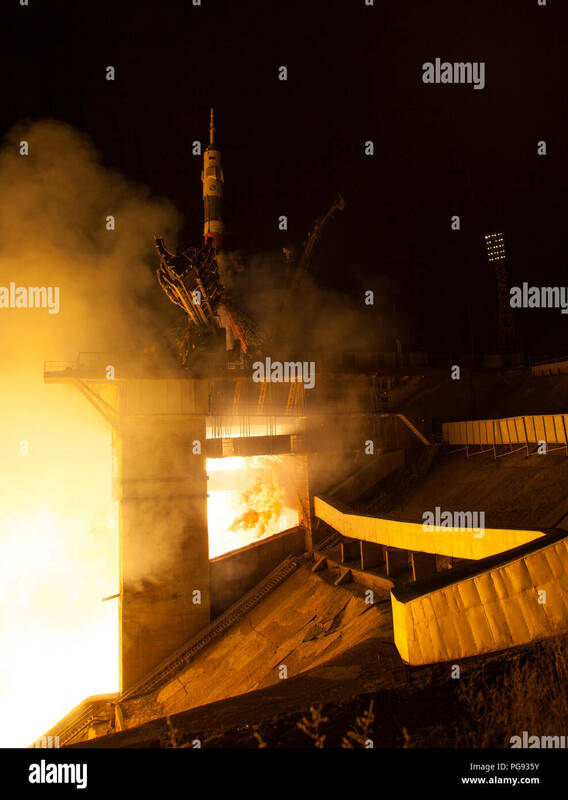 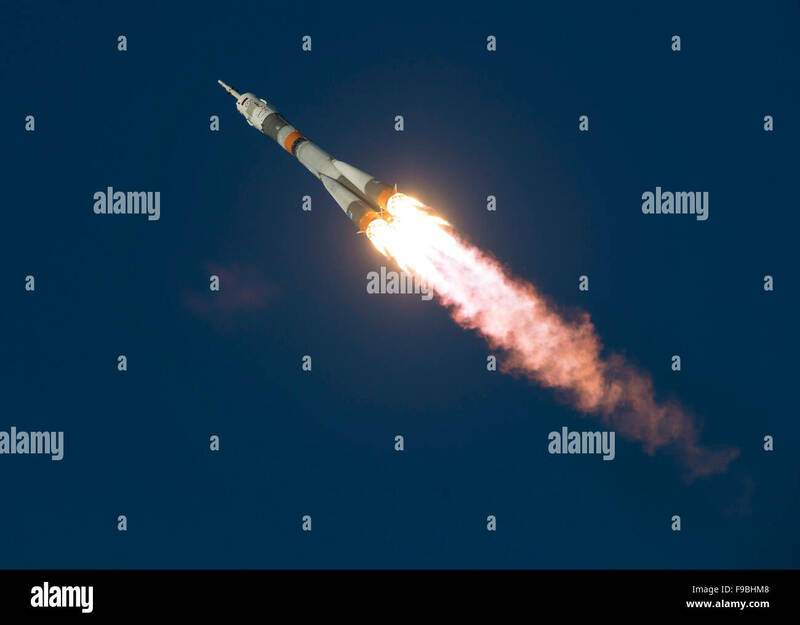 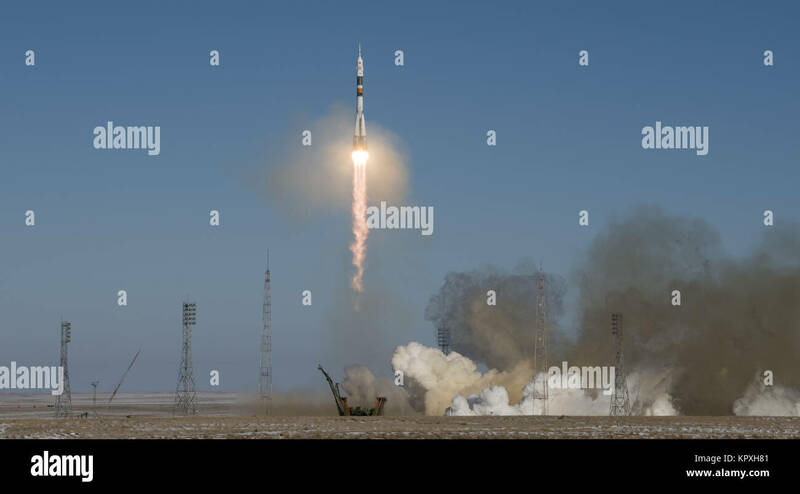 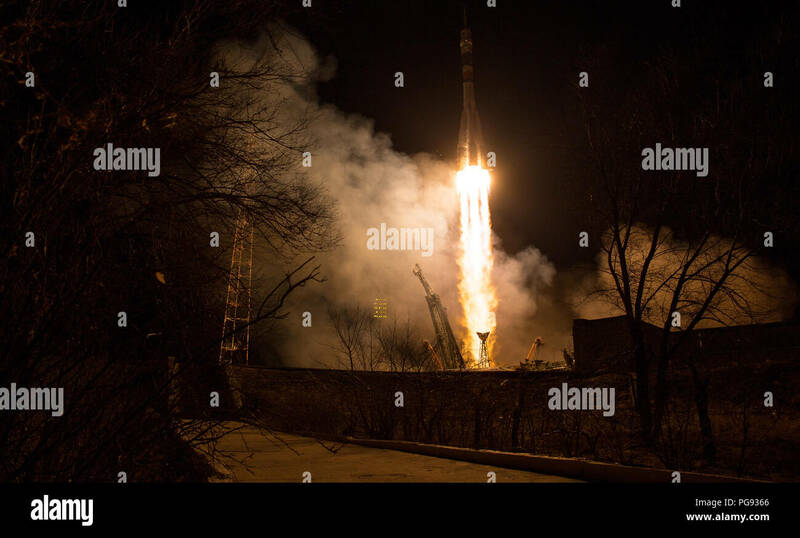 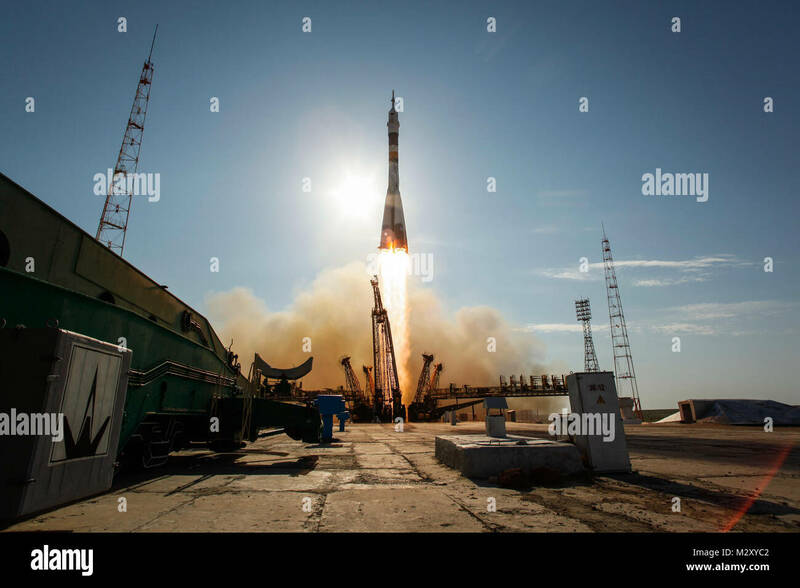 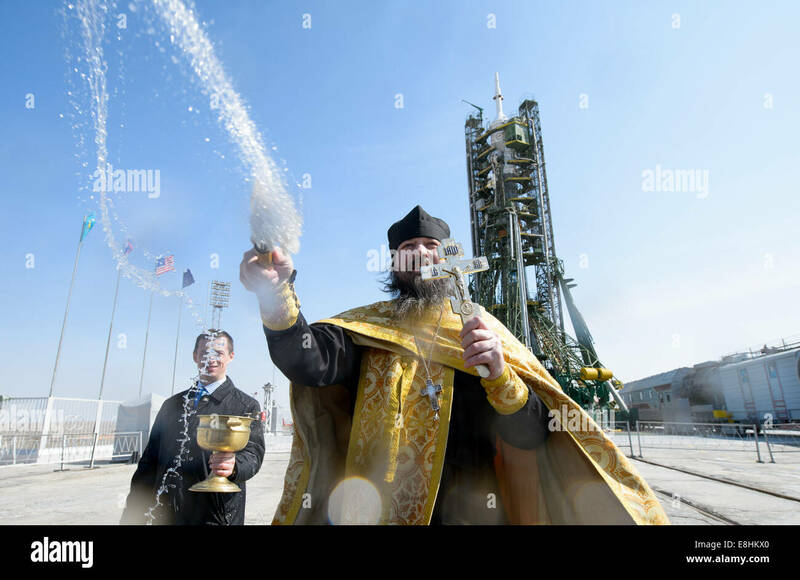 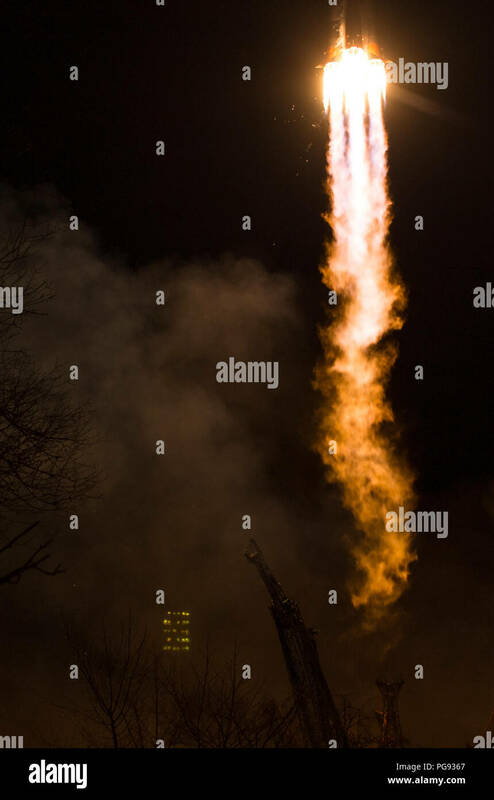 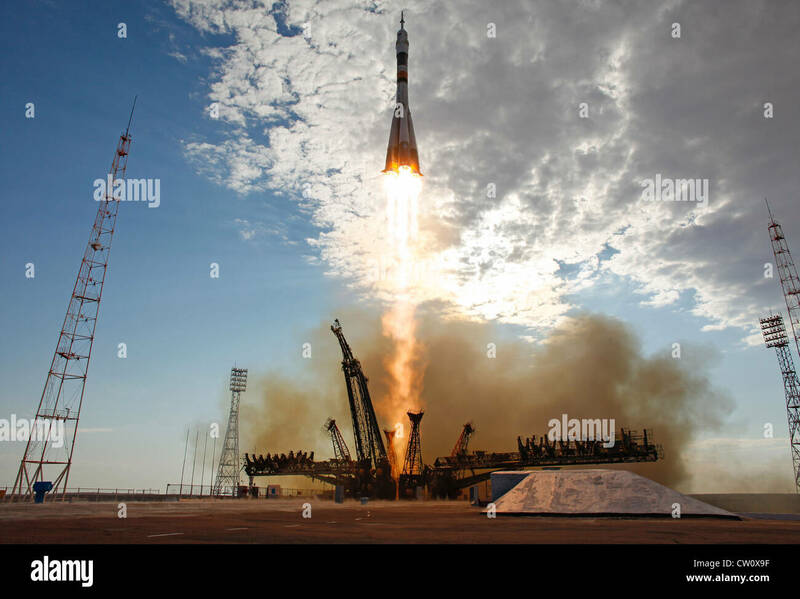 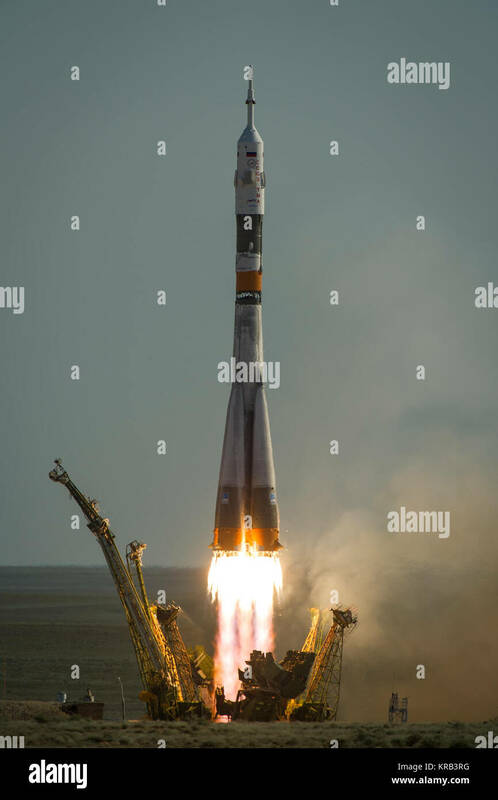 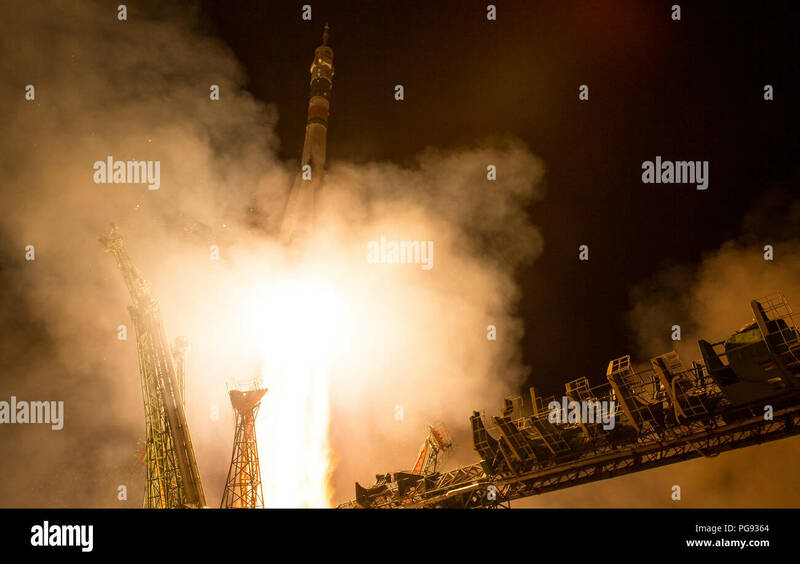 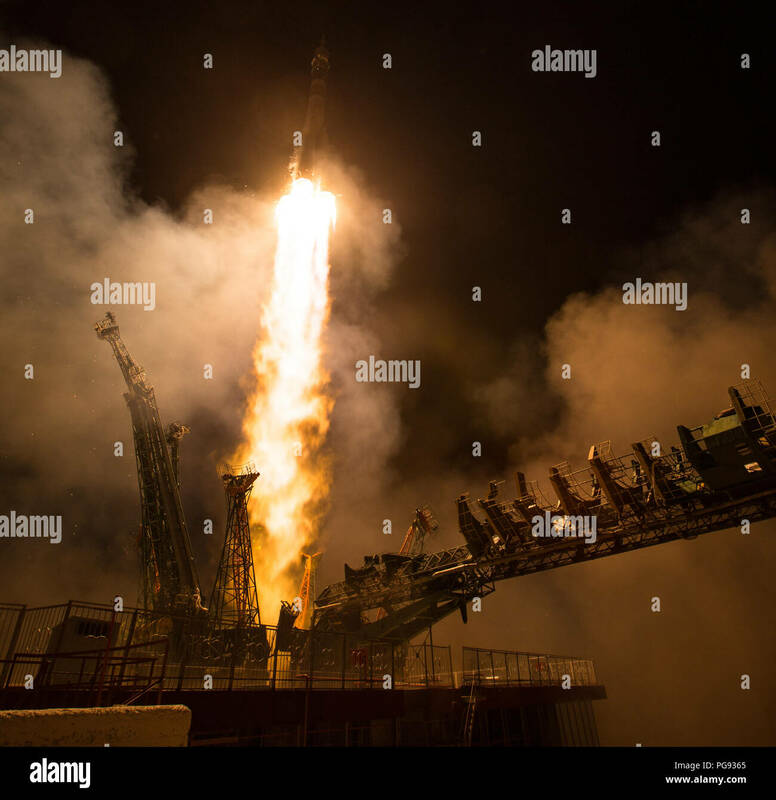 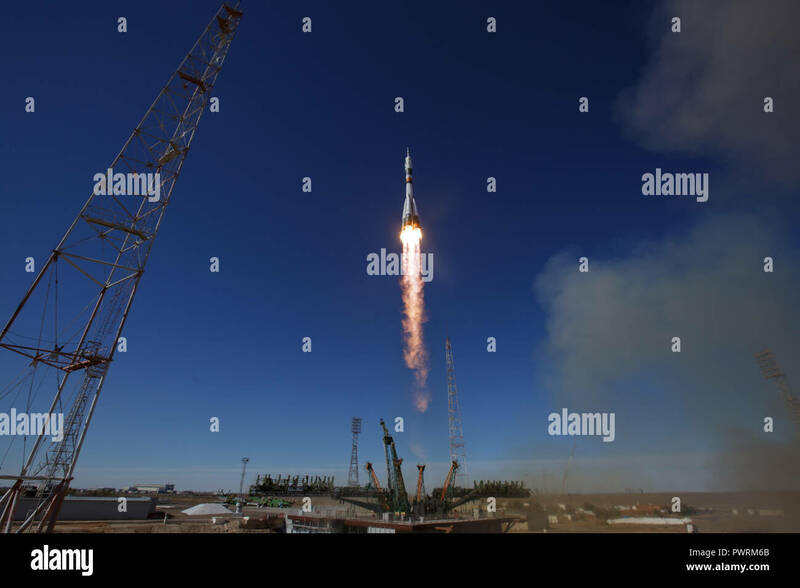 The Soyuz MS-08 rocket is launched with Expedition 55 Soyuz Commander Oleg Artemyev of Roscosmos and flight engineers Ricky Arnold and Drew Feustel of NASA, Wednesday, March 21, 2018 at the Baikonur Cosmodrome in Kazakhstan. 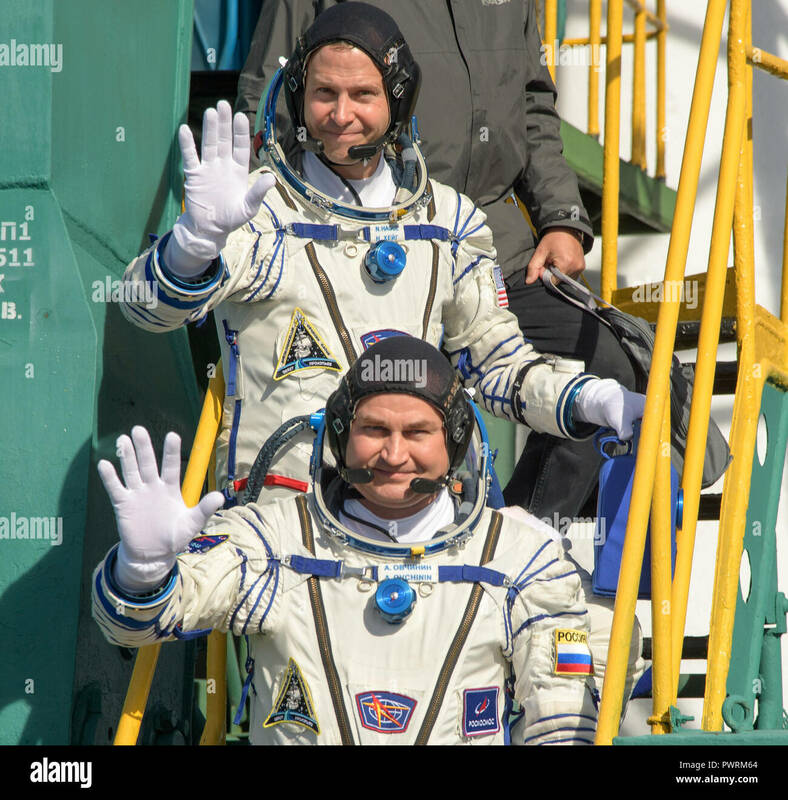 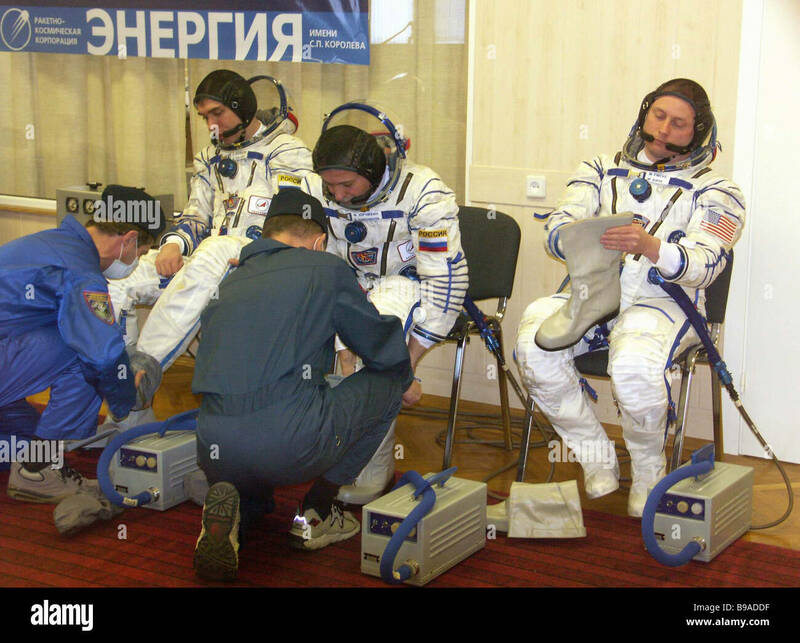 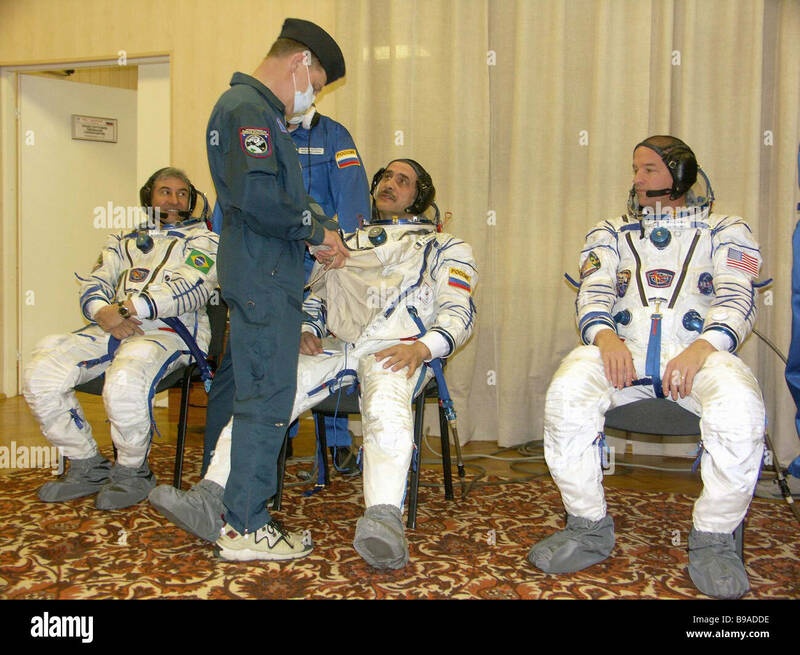 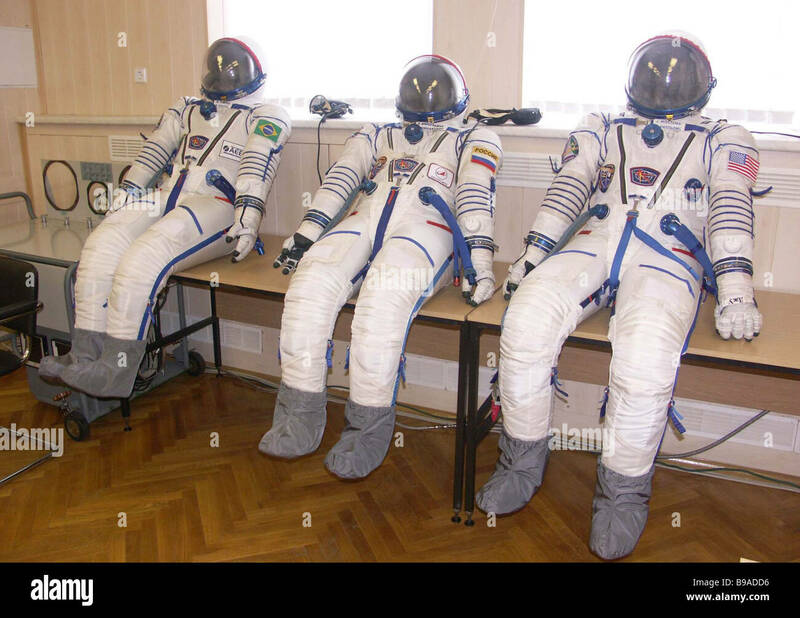 Artemyev, Arnold, and Feustel will spend the next five months living and working aboard the International Space Station. 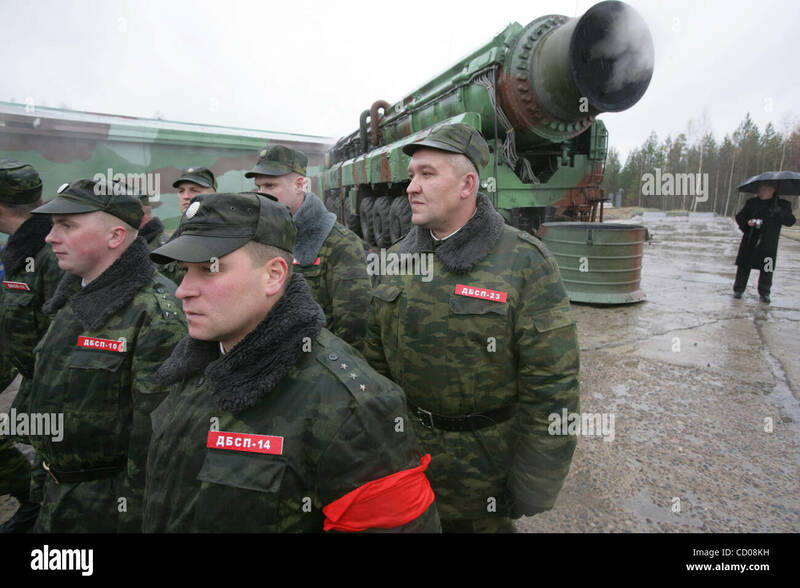 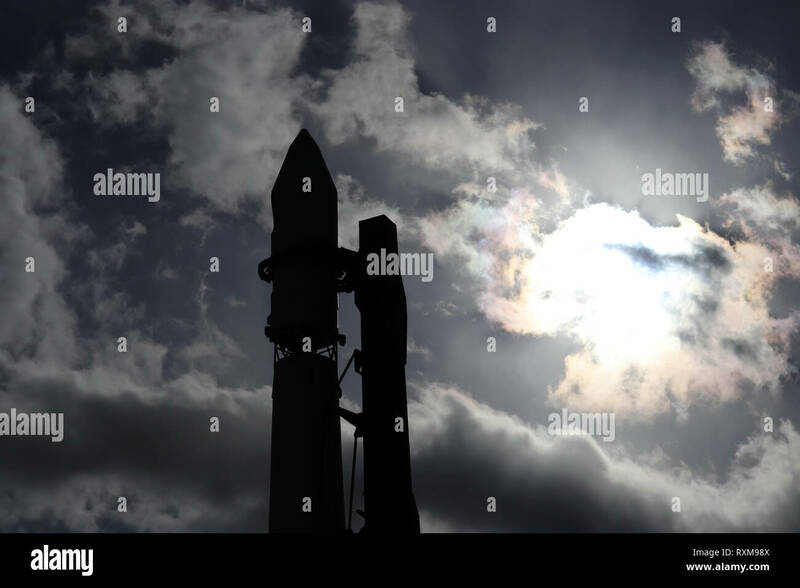 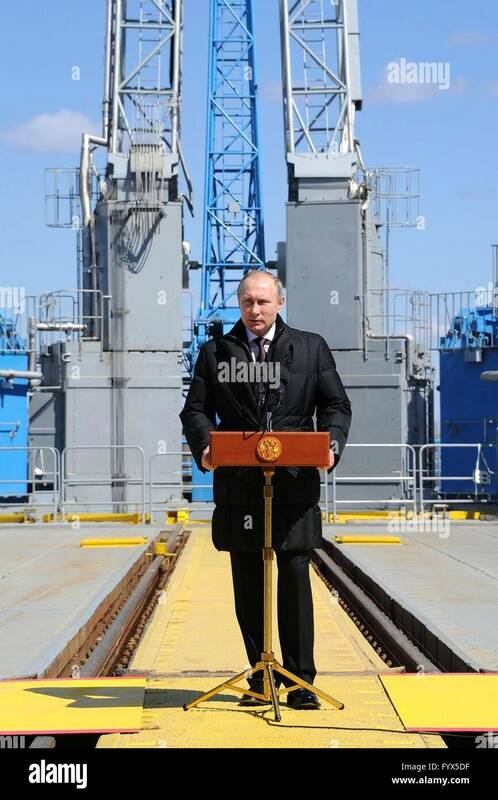 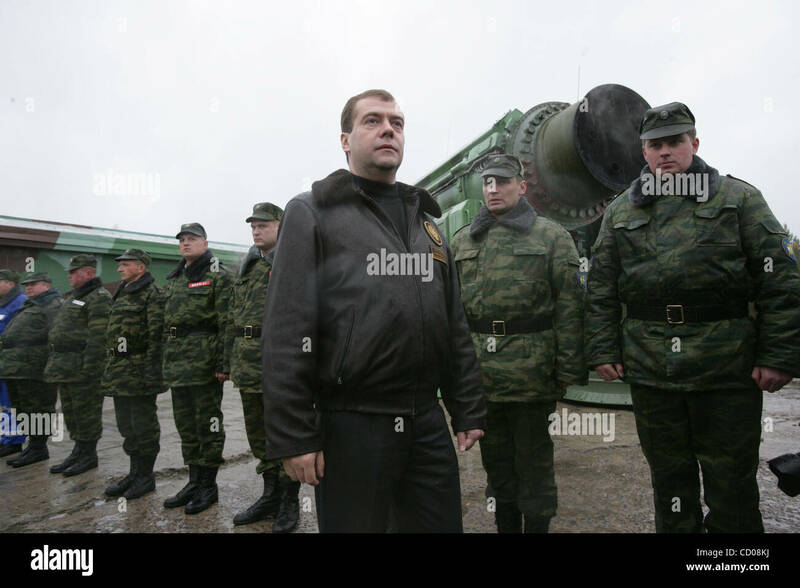 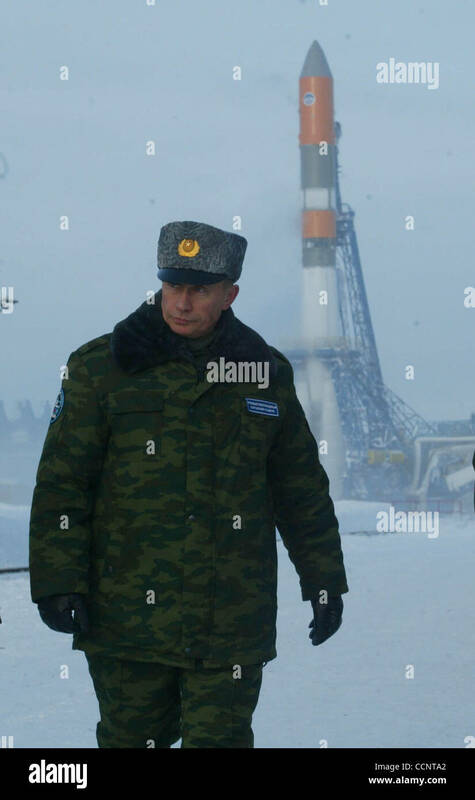 Russian President Vladimir Putin, second left, and Russian Federal Space Agency head Igor Komarov, left, stand at a launch pad while visiting the Vostochny Cosmodrome October 14, 2015 near Uglegorsk, Russia. 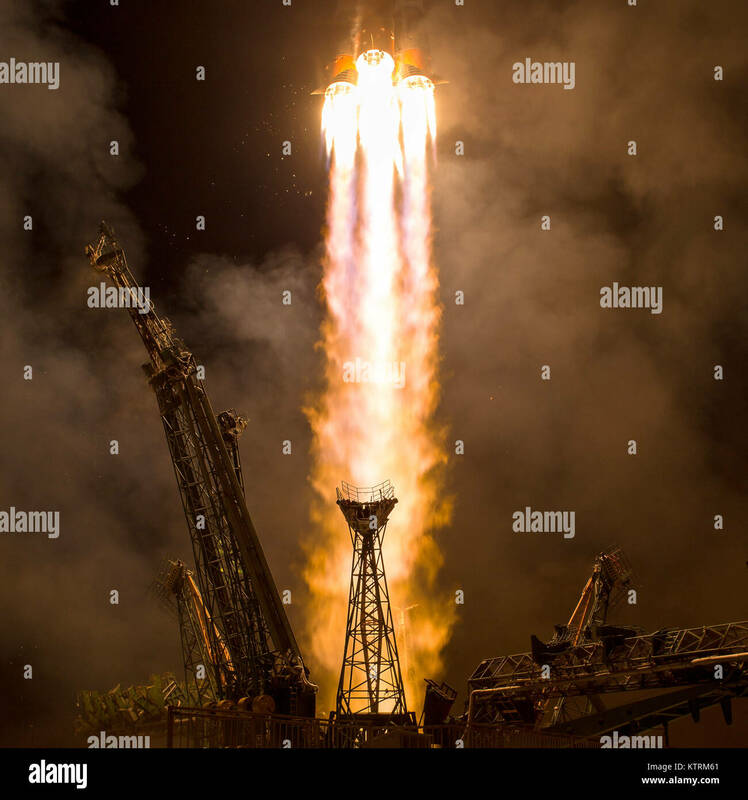 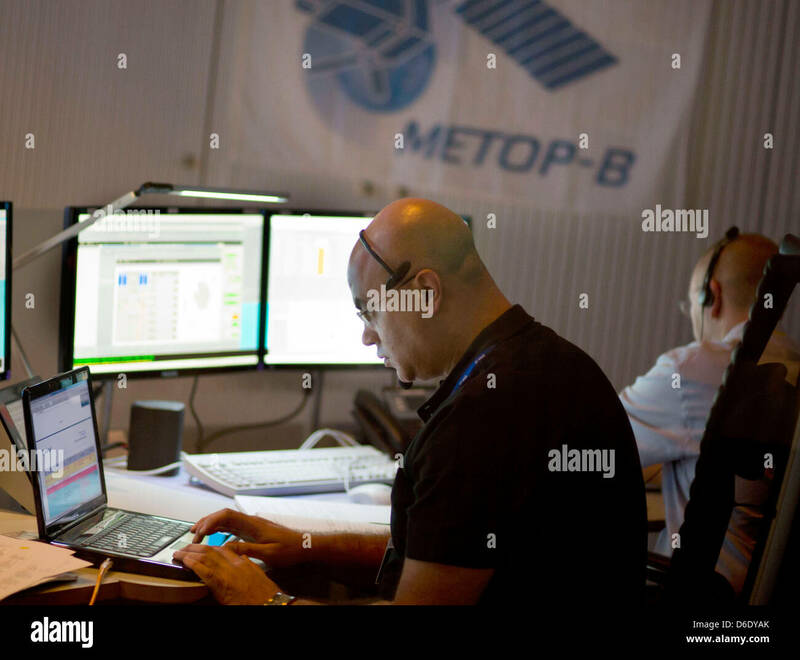 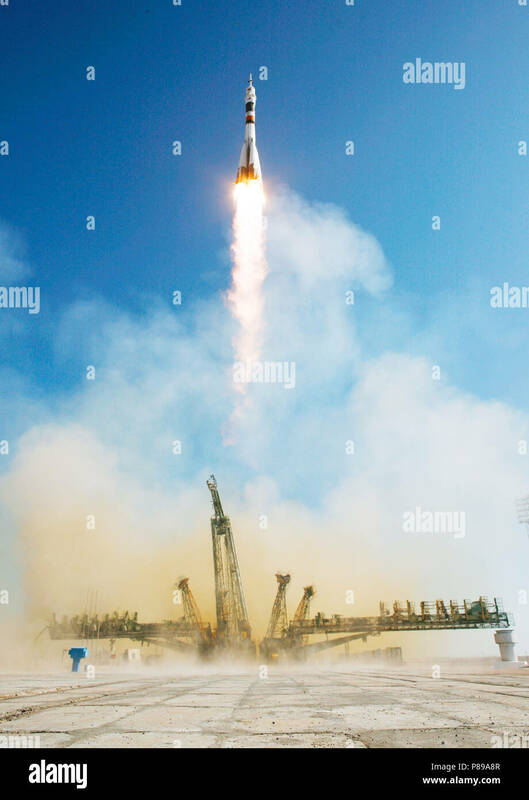 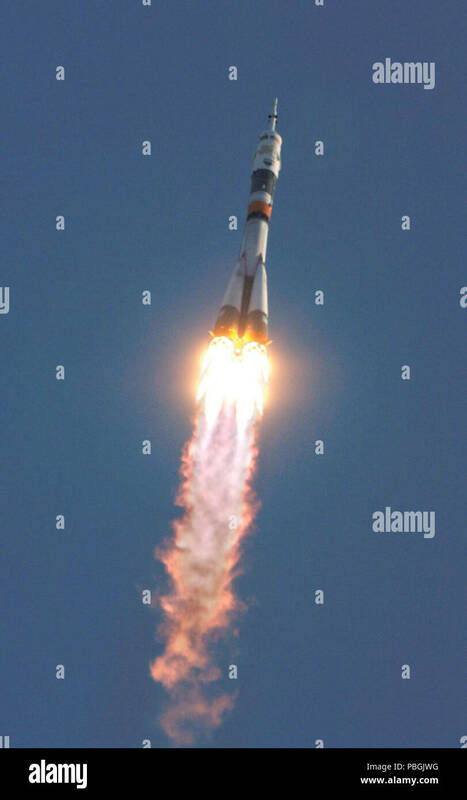 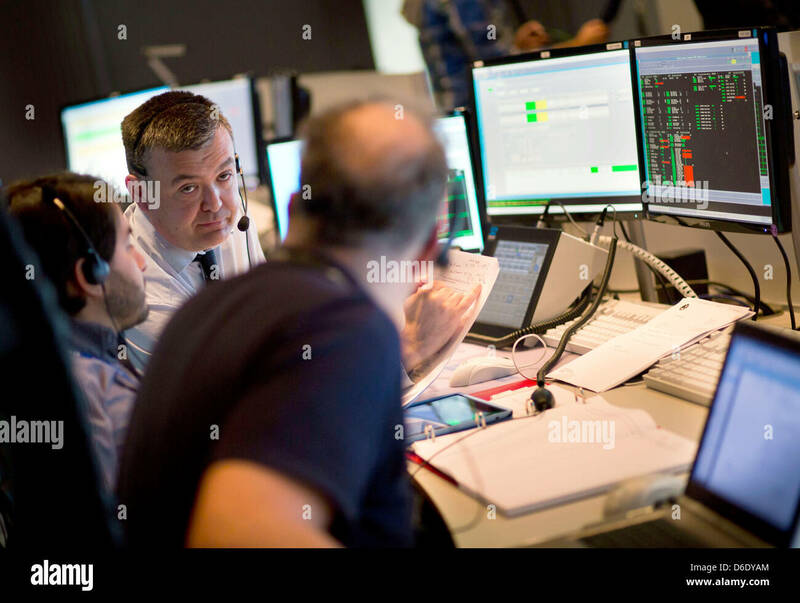 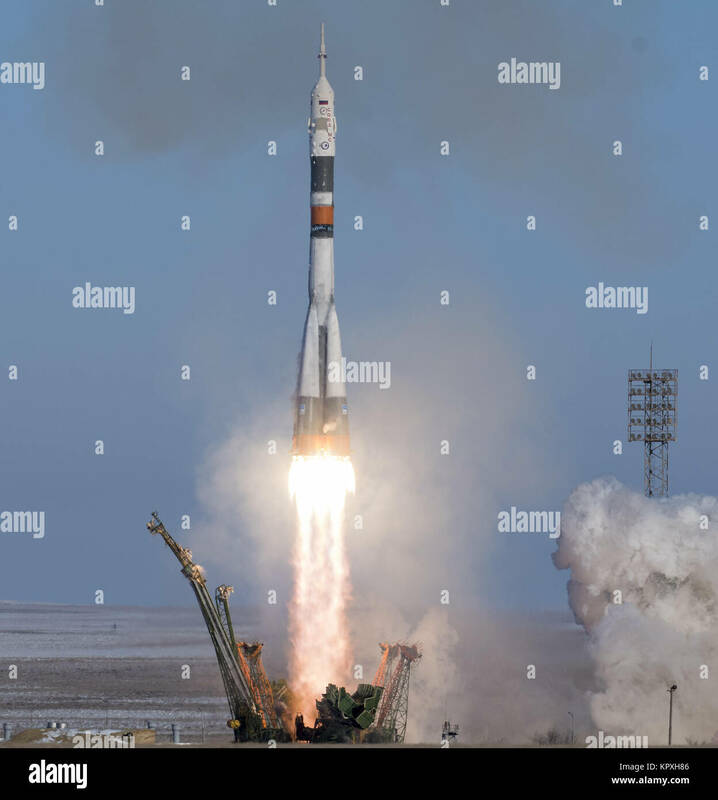 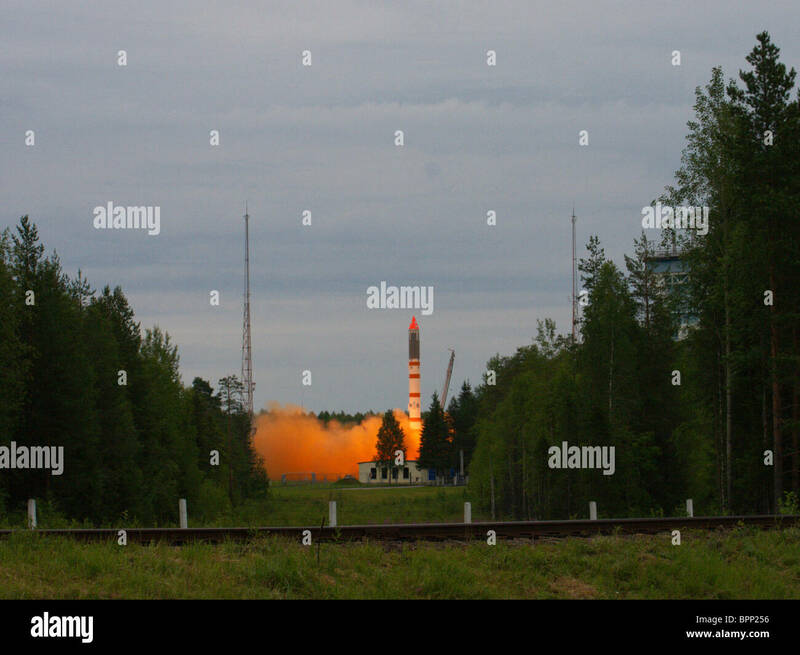 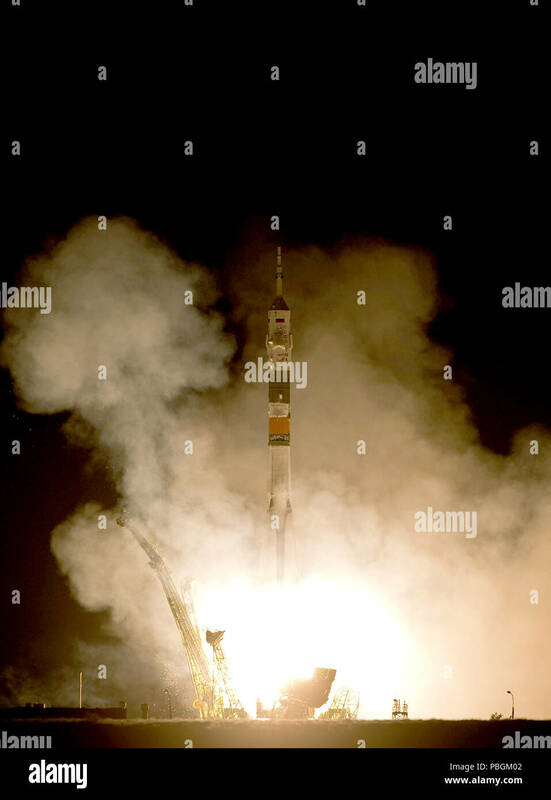 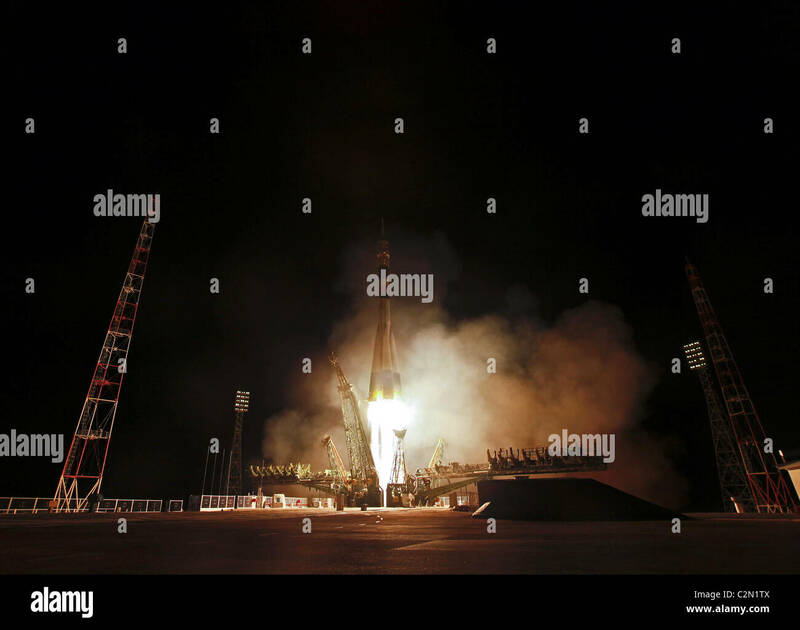 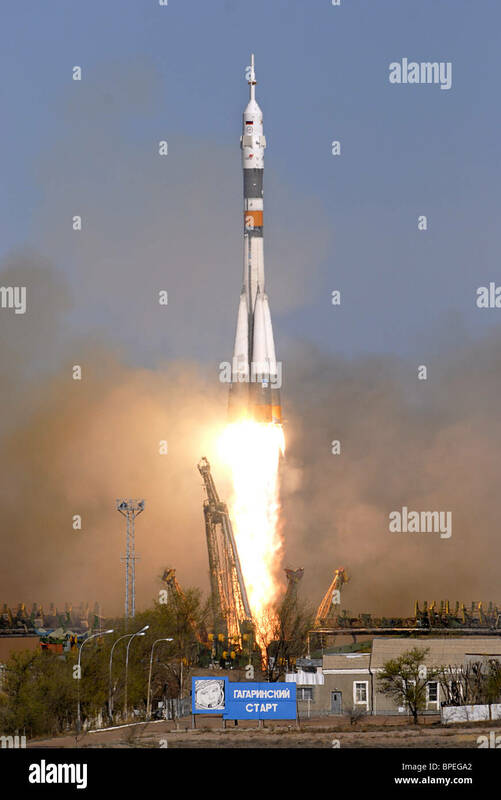 The Soyuz MS-10 spacecraft is launched with Expedition 57 Flight Engineer Nick Hague of NASA and Flight Engineer Alexey Ovchinin of Roscosmos, Thursday, Oct. 11, 2018 at the Baikonur Cosmodrome in Kazakhstan. 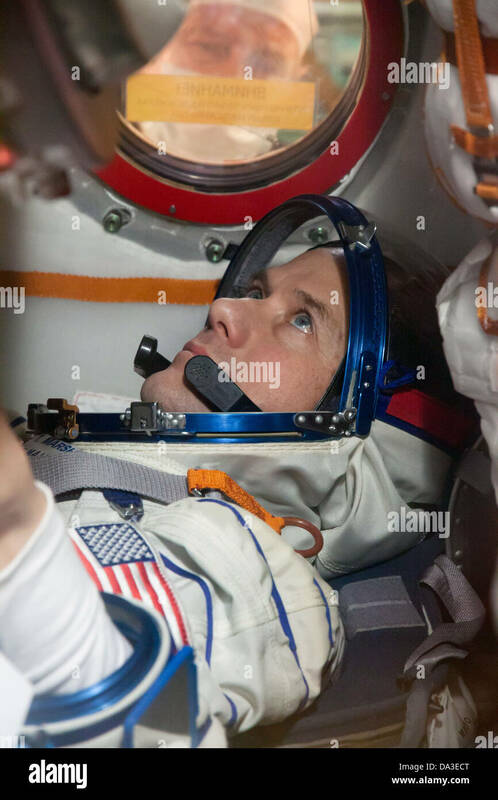 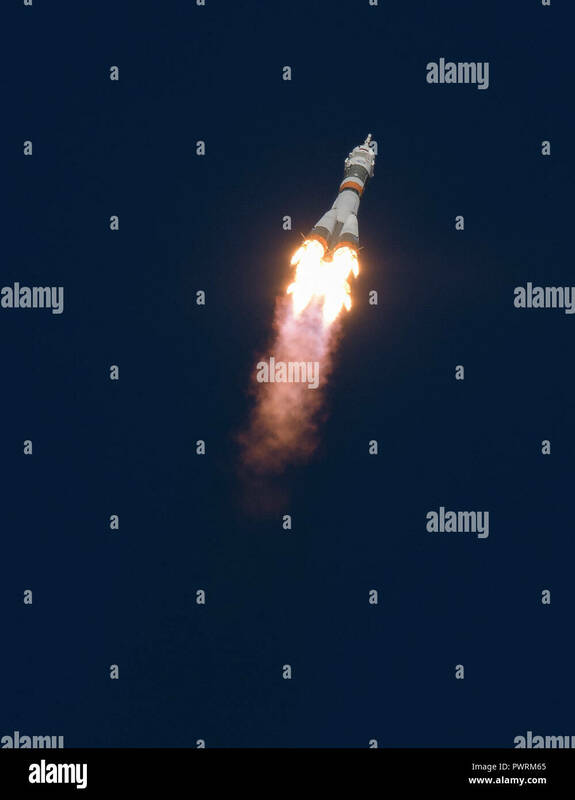 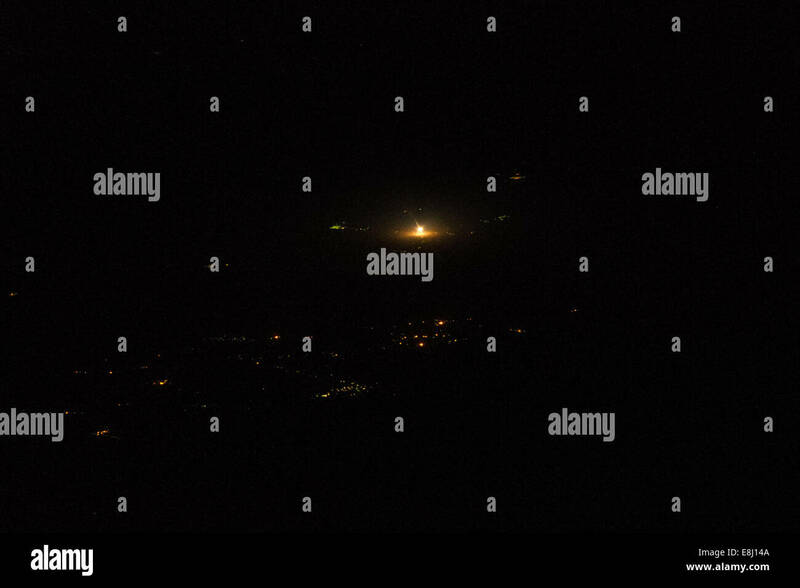 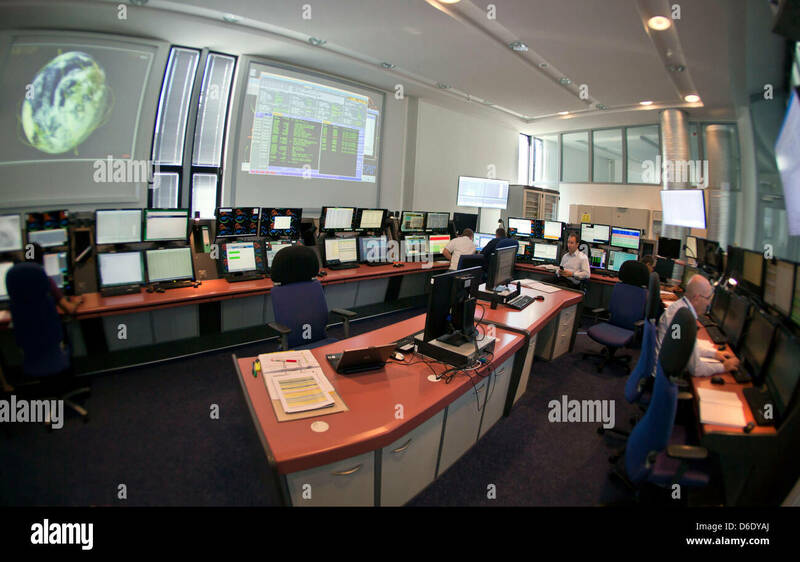 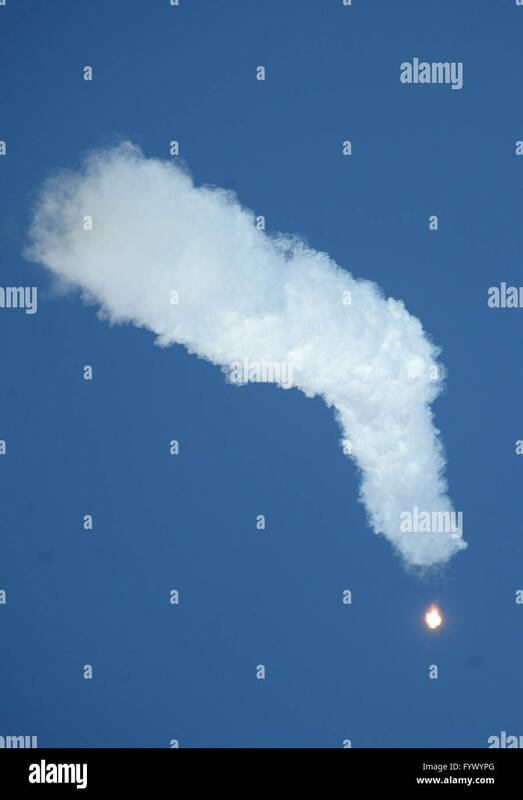 During the Soyuz spacecraft's climb to orbit, an anomaly occurred, resulting in an abort downrange. 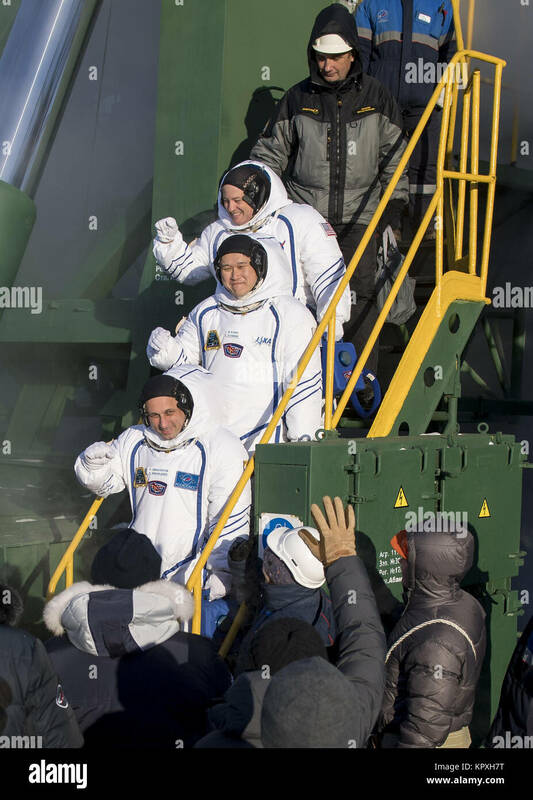 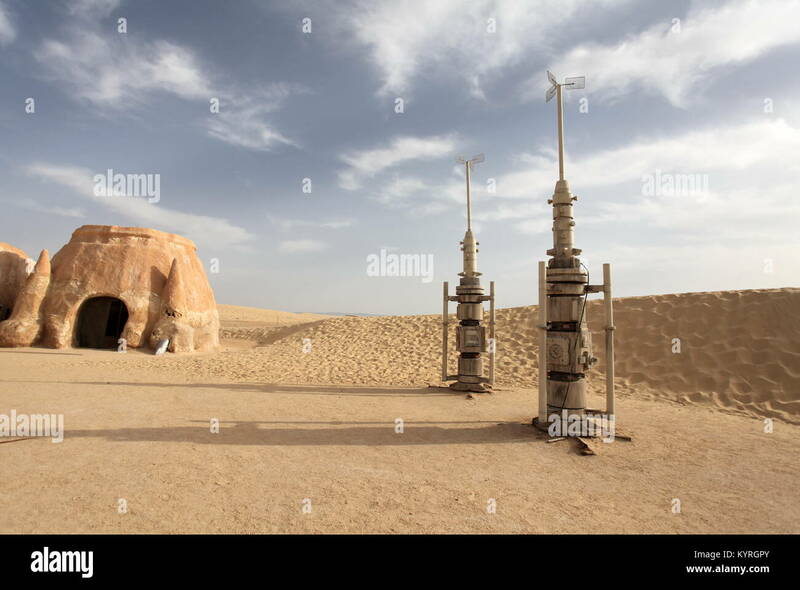 The crew was quickly recovered and is in good condition. 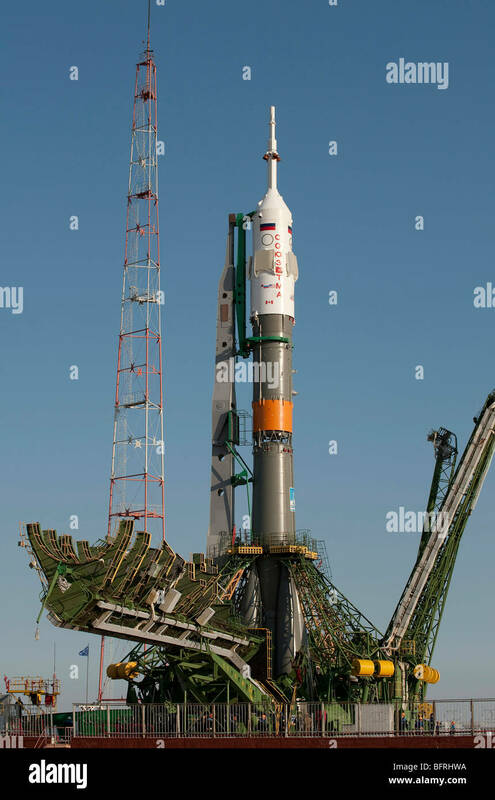 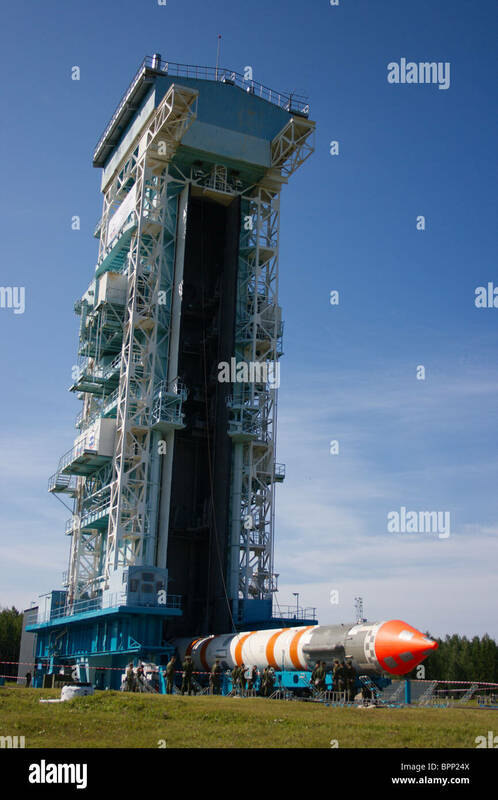 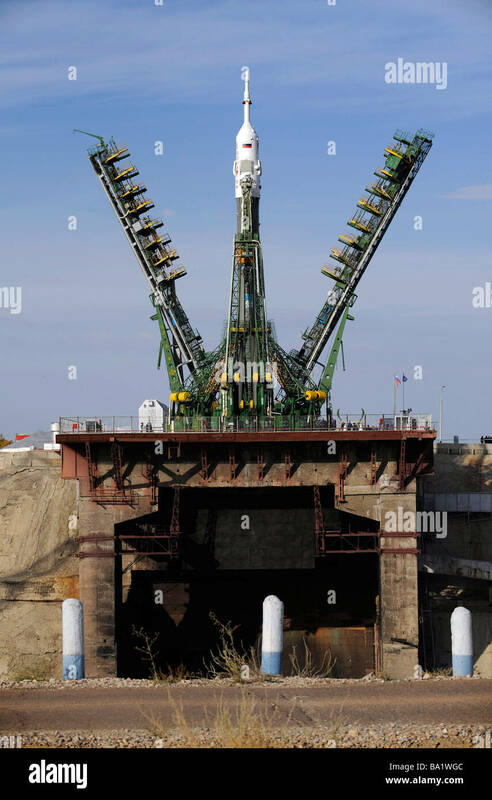 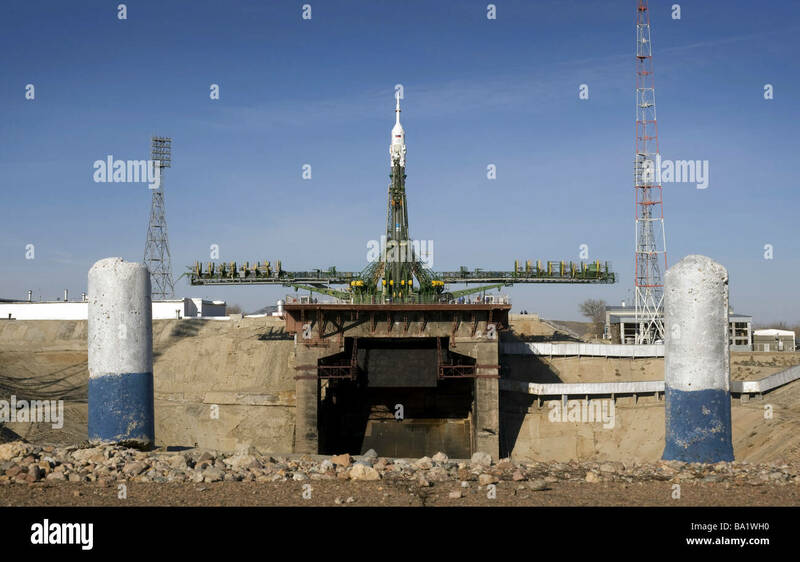 March 24, 2009 - The Soyuz rocket is erected into position at the launch pad at the Baikonur Cosmodrome in Kazakhstan. 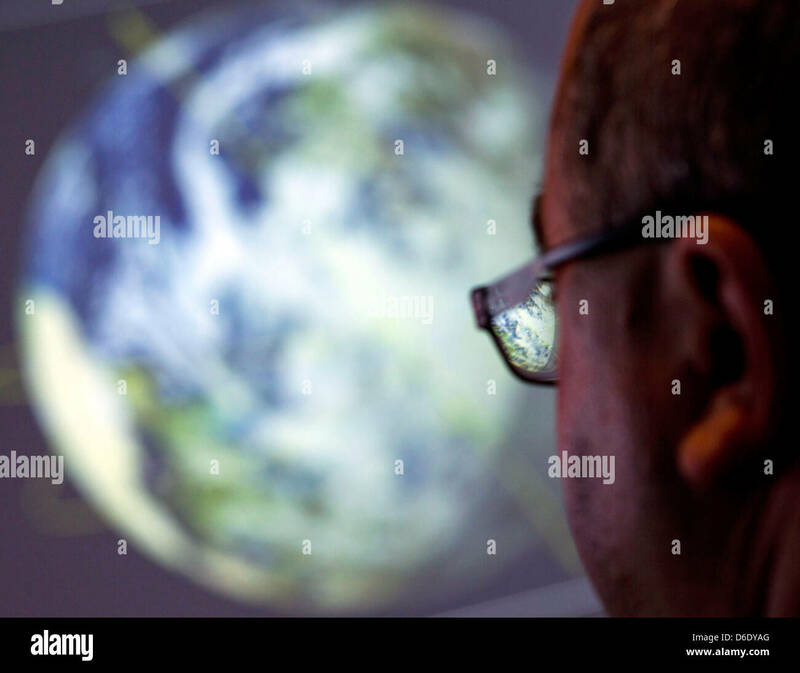 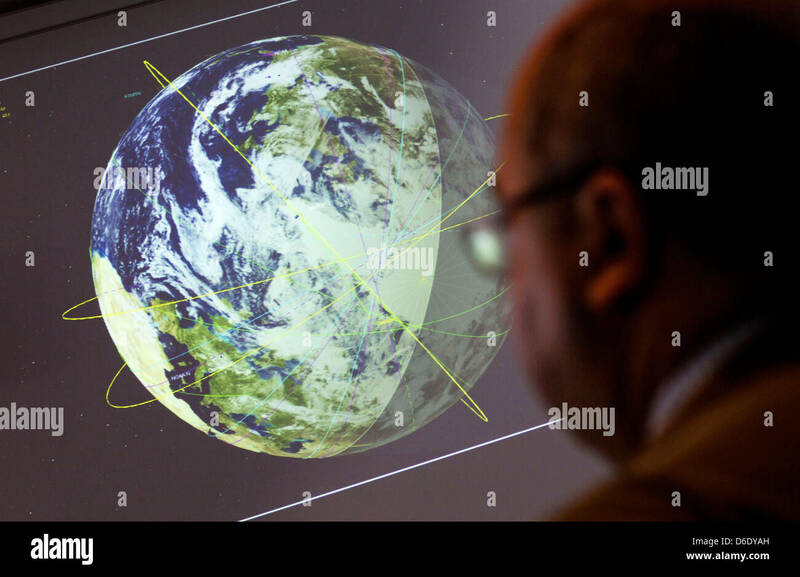 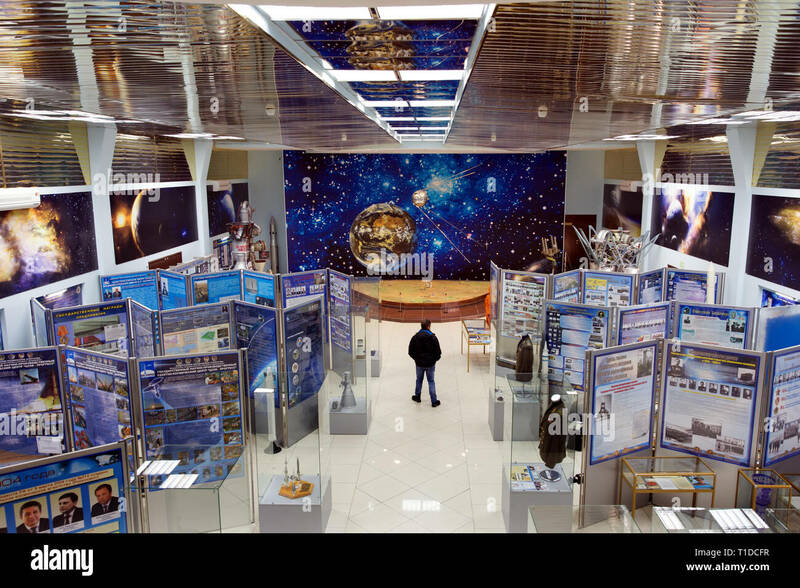 BAIKONUR - A visitor watches a model of the Sputnik in the main hall of the Cosmodrome museum. 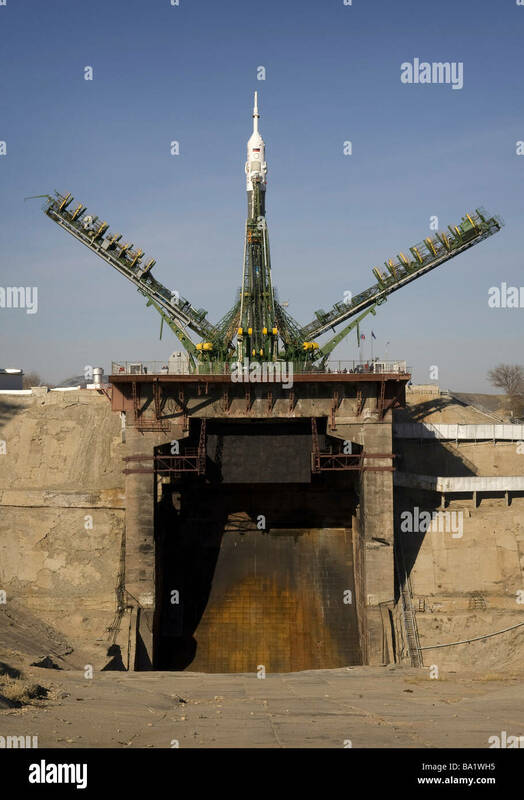 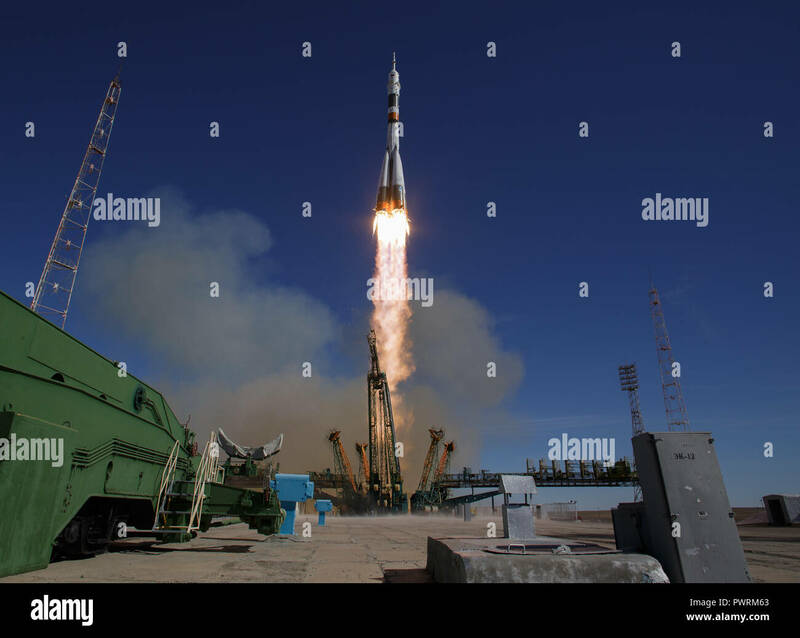 September 28, 2009 - The Soyuz rocket is seen shortly after arrival to the launch pad at the Baikonur Cosmodrome in Kazakhstan. 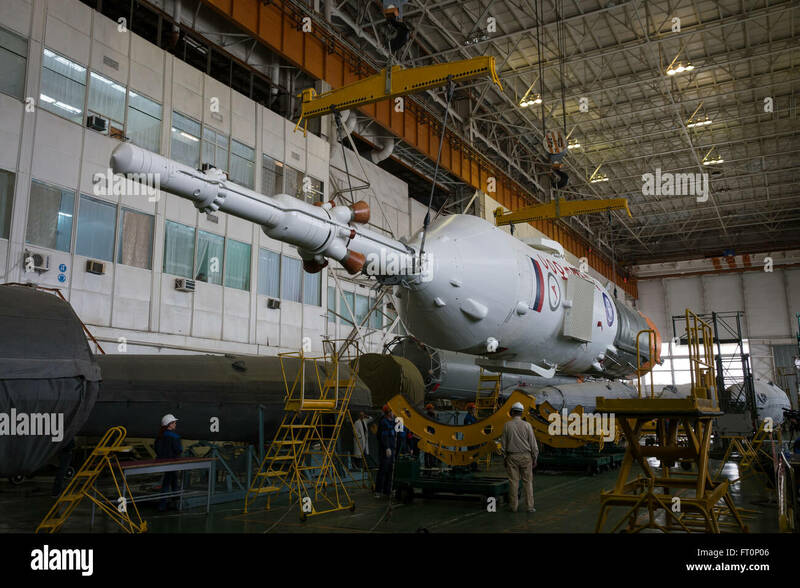 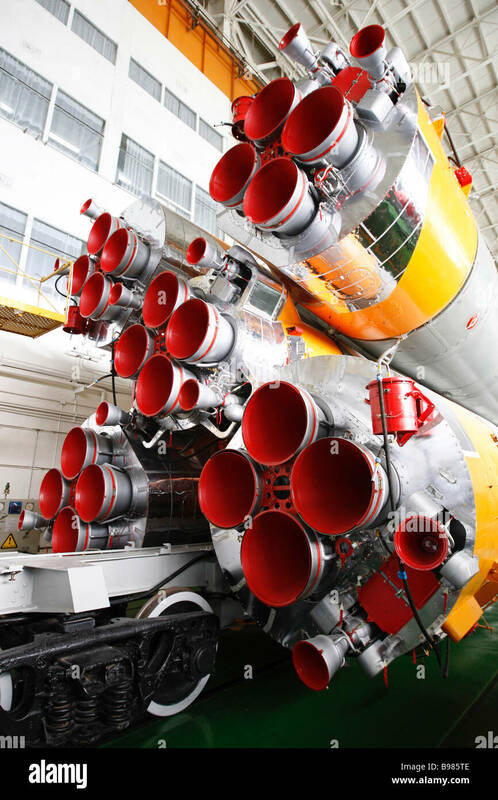 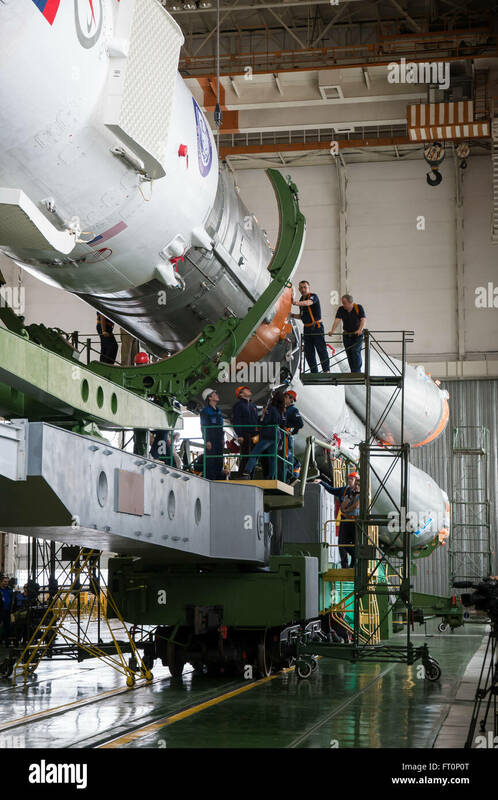 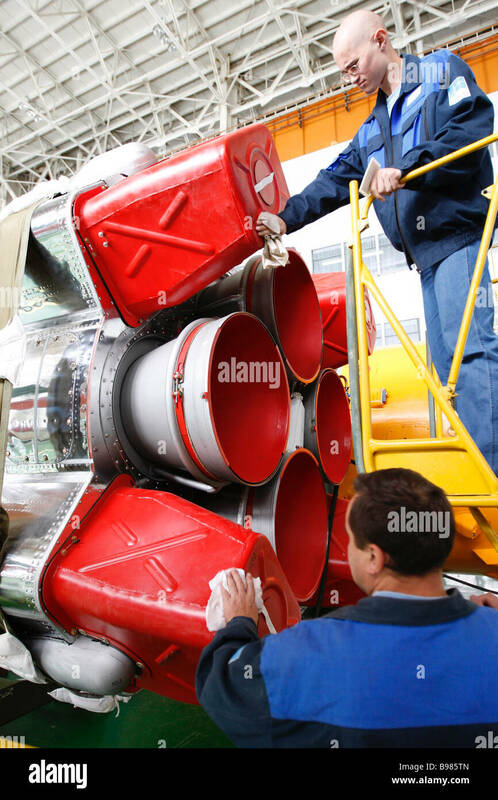 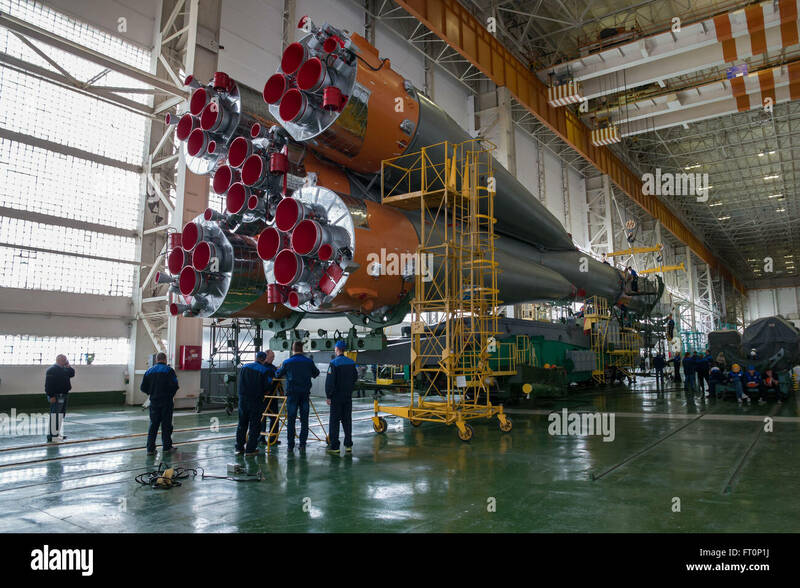 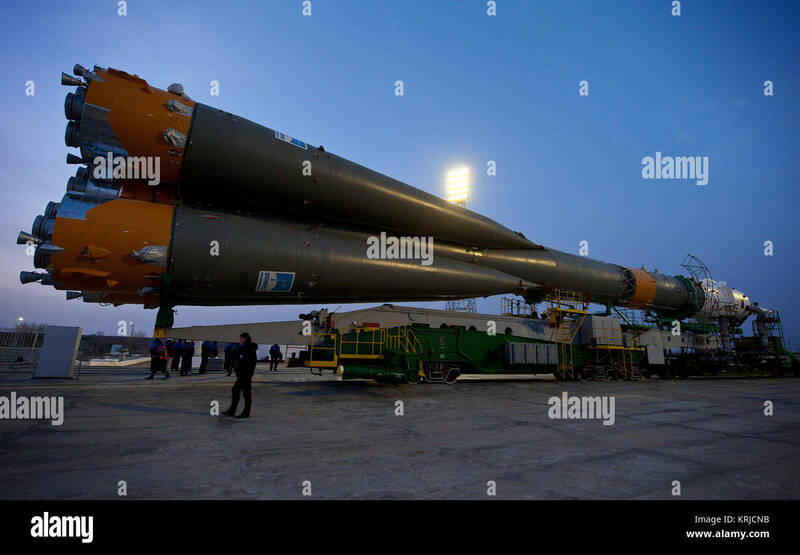 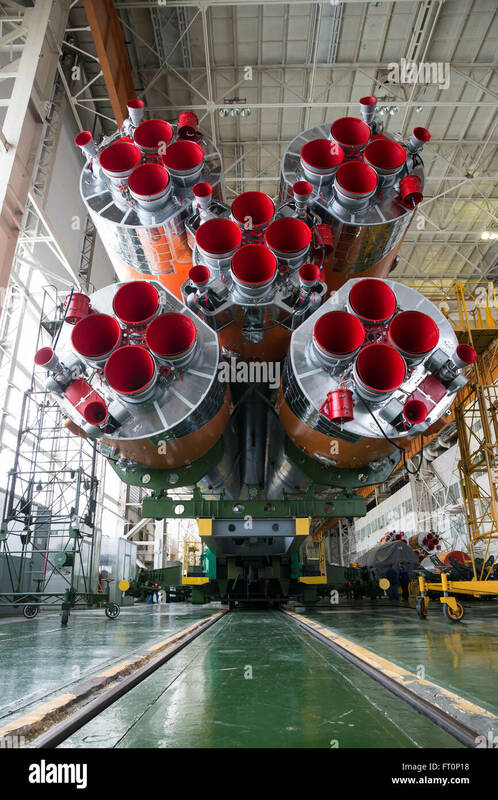 The Soyuz rocket and Soyuz TMA-20M spacecraft is assembled Tuesday, March 15, 2016 at the Baikonur Cosmodrome in Kazakhstan. 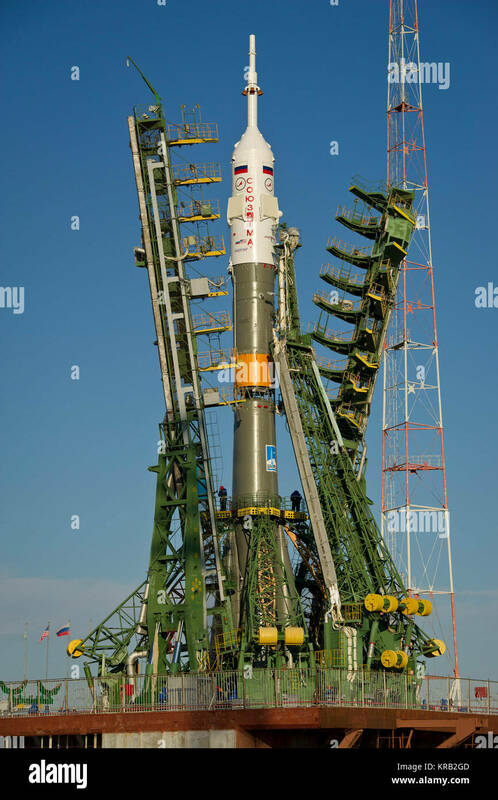 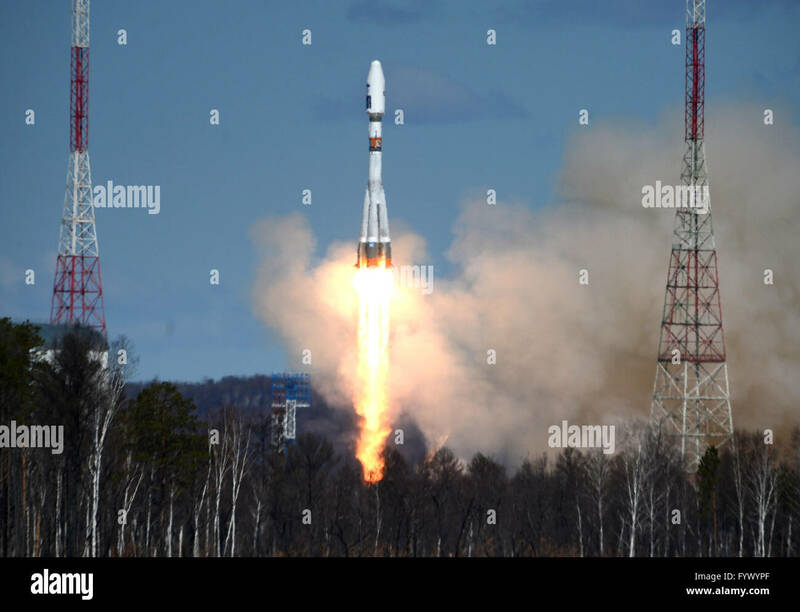 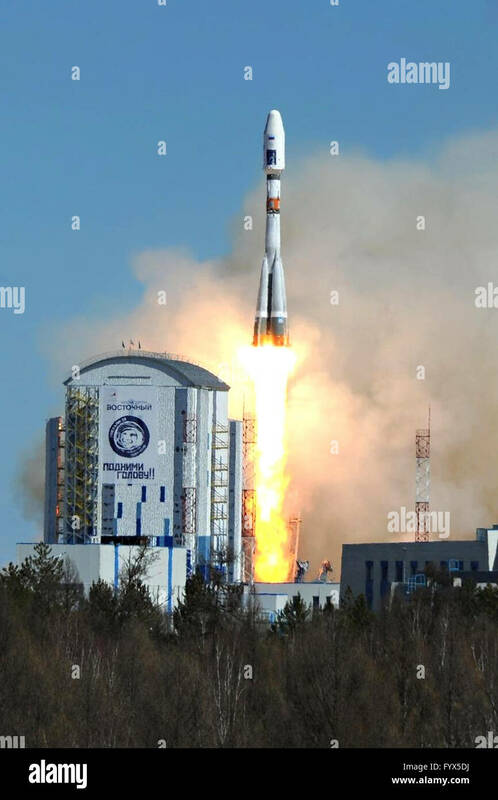 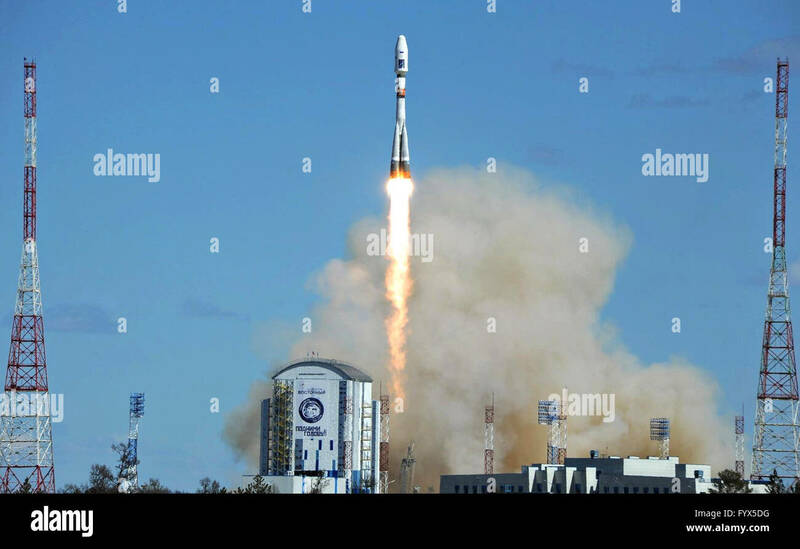 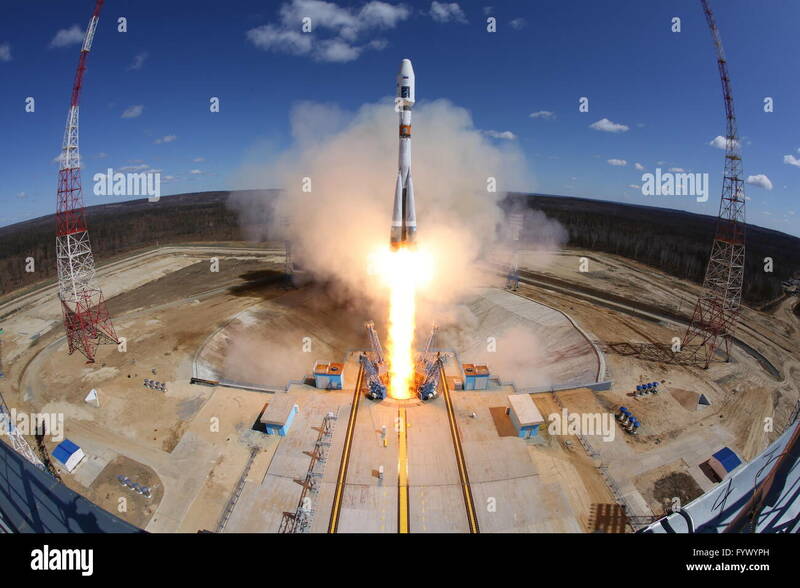 Launch of the Soyuz TMA-20M spacecraft is scheduled for March 19 and will send Expedition 47 Soyuz Commander Alexey Ovchinin of Roscosmos, Flight Engineer Jeff Williams of NASA, and Flight Engineer Oleg Skripochka of Roscosmos to the International Space Station for a five and a half month stay. 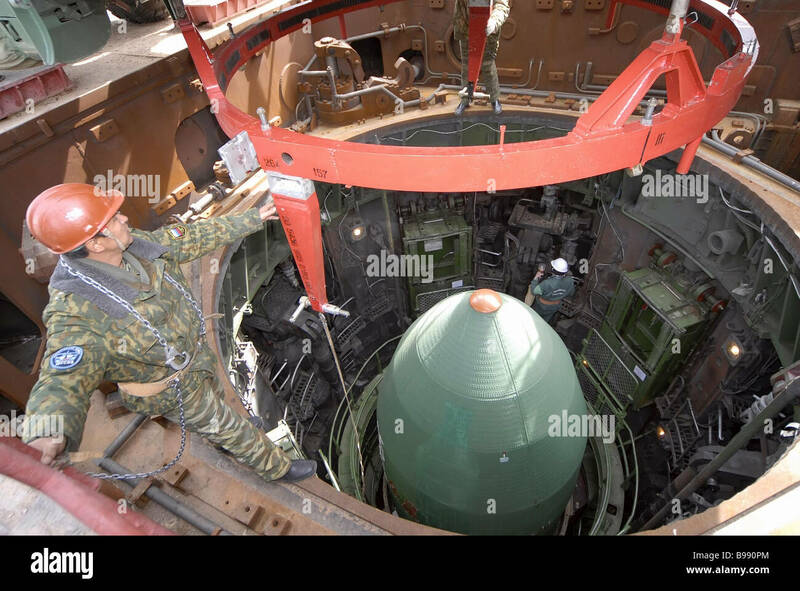 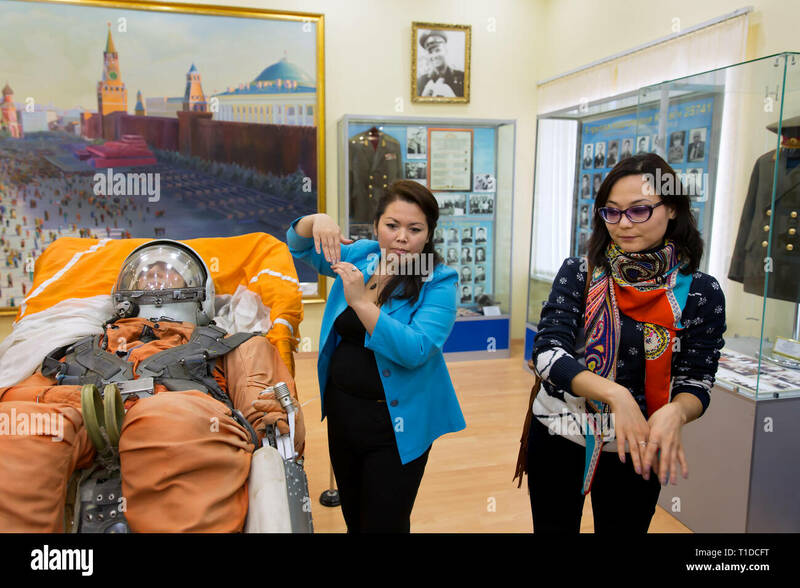 BAIKONUR - Kazakh museum and tour guides explain the working of an ejection seat of the Vostok spacecraft in the Cosmodrome museum. 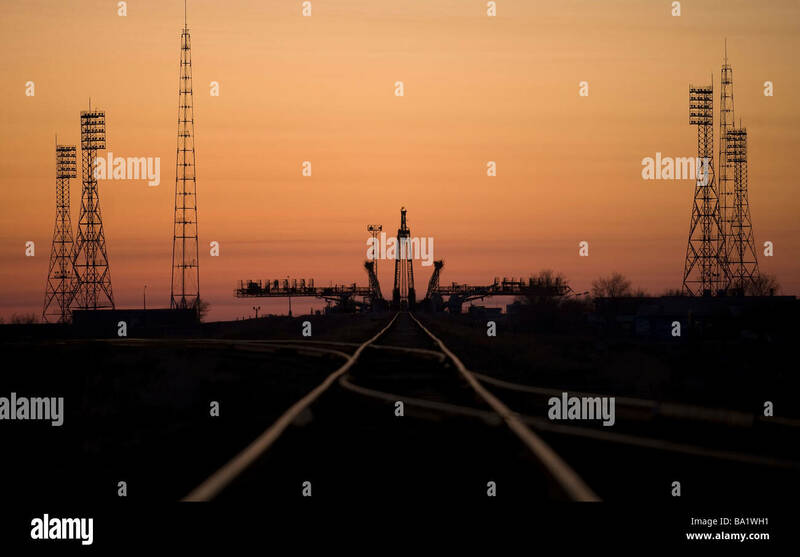 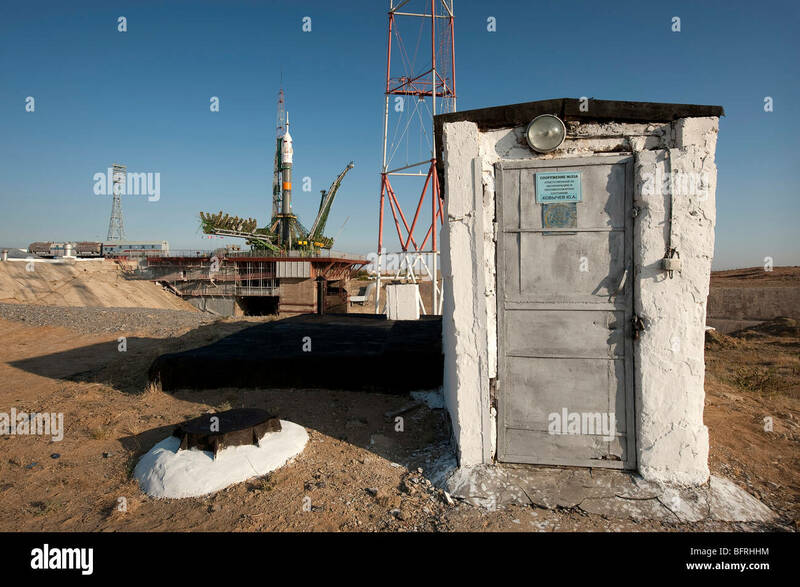 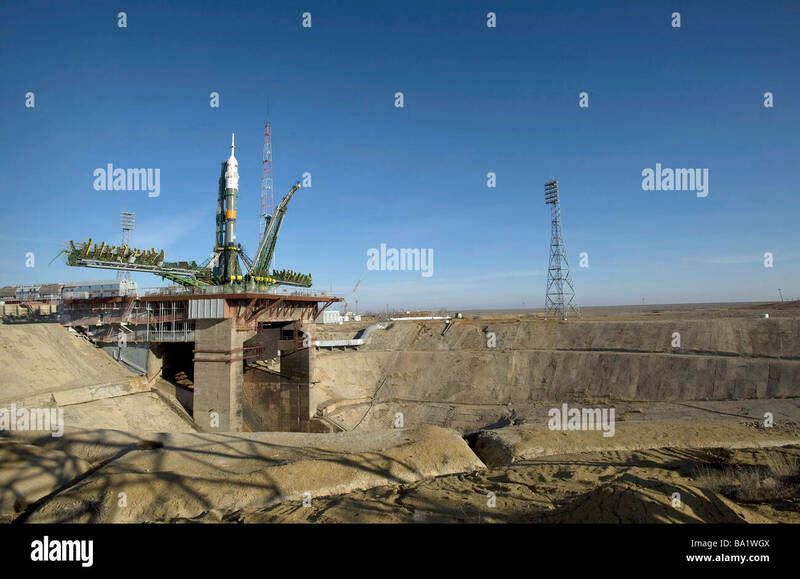 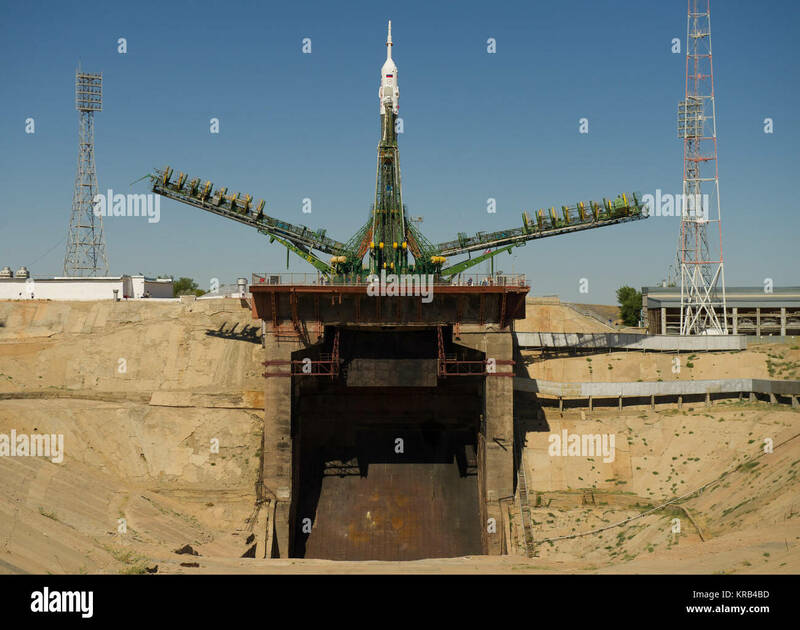 The Soyuz launch pad at the Baikonur Cosmodrome in Kazakhstan. 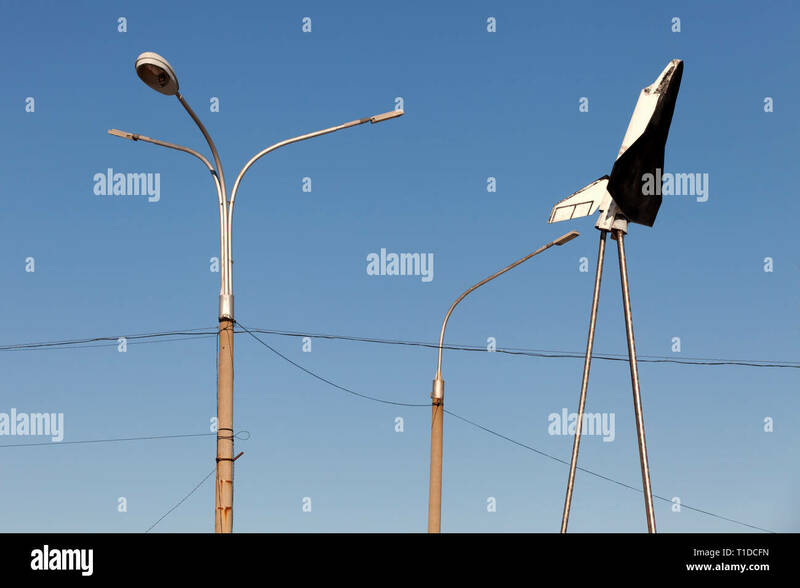 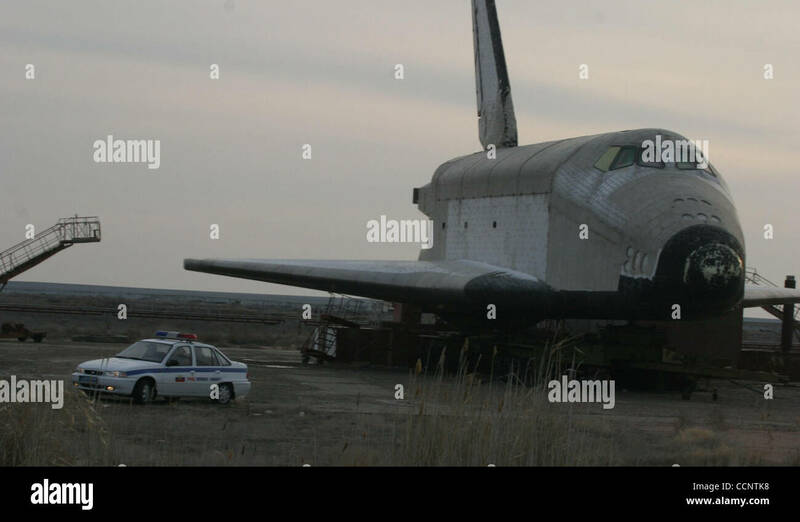 BAIKONUR - A model of the Buran space shuttle at a checkpoint in the Russian administered town of Baikonur. 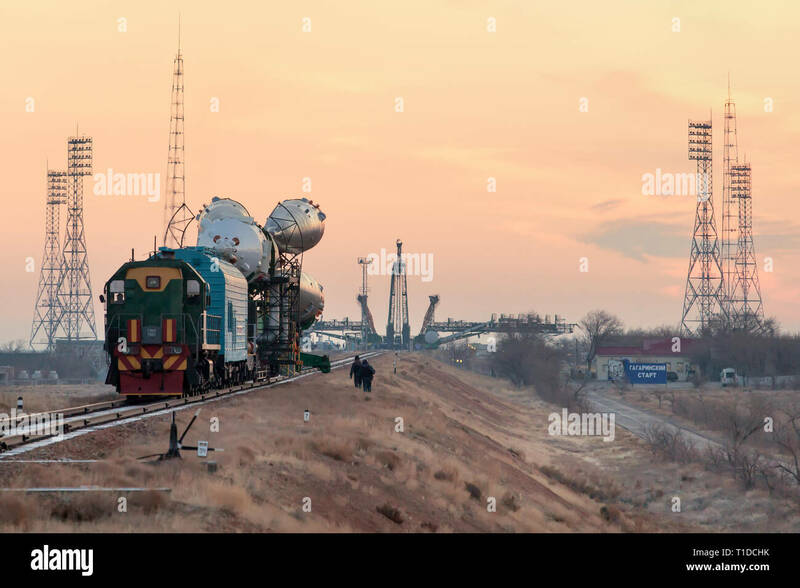 BAIKONUR - The Soyuz rocket MS-03 is beeing rolled out by train to the Gagarin Start launchpad on monday morning. 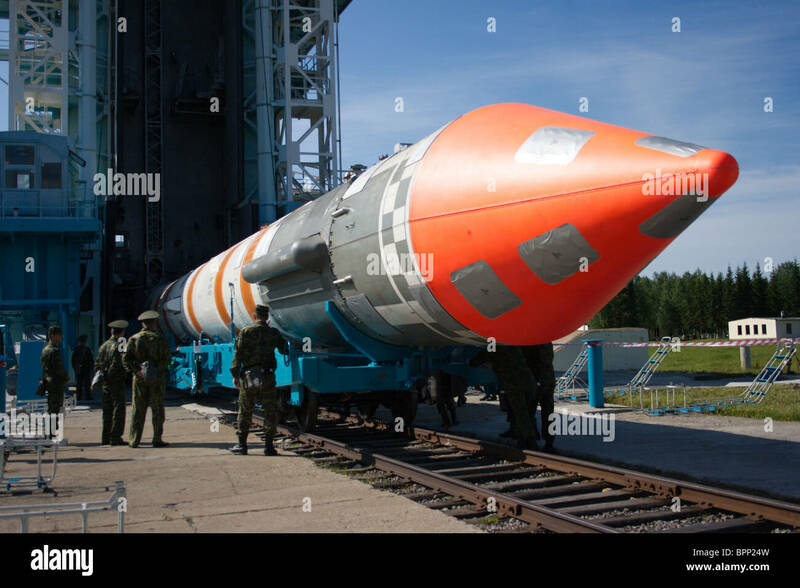 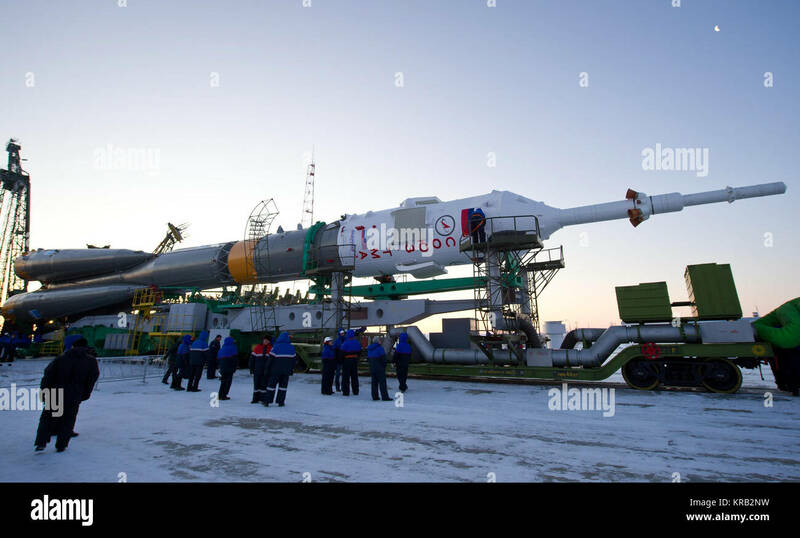 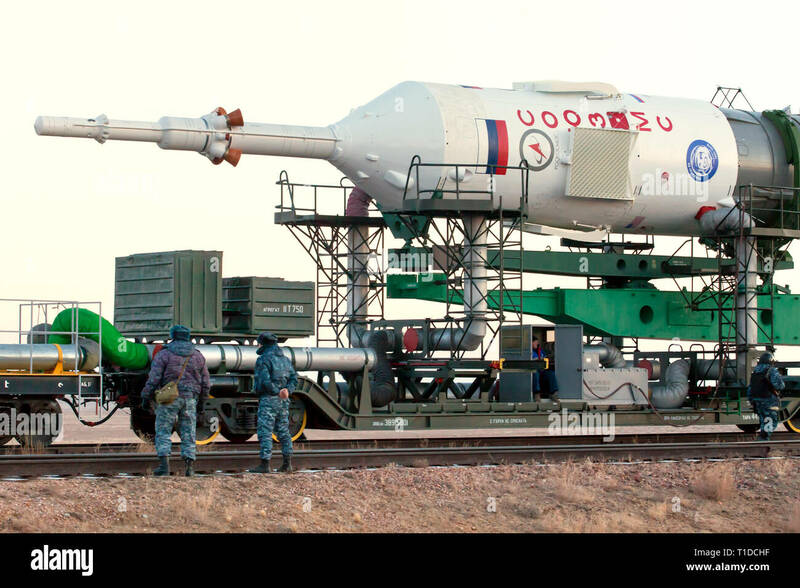 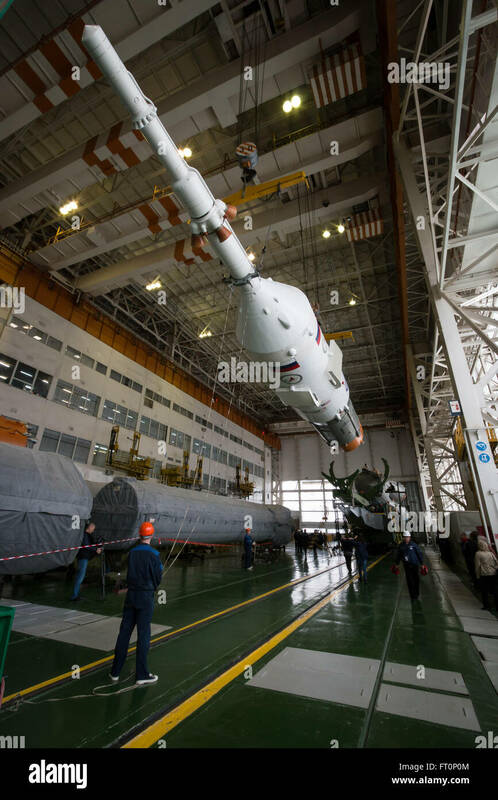 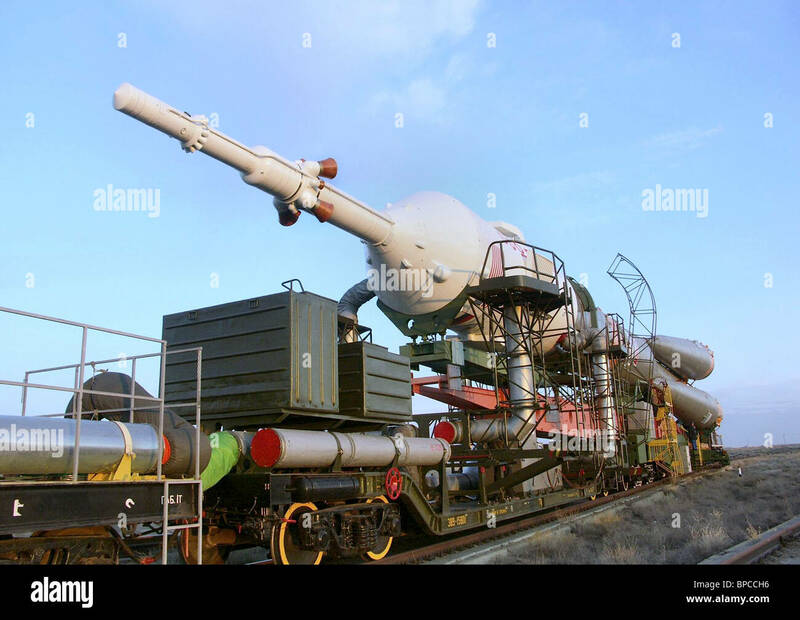 BAIKONUR - The Soyuz rocket MS-03 is beeing rolled out by train to the Gagarin Start launchpad on monday. 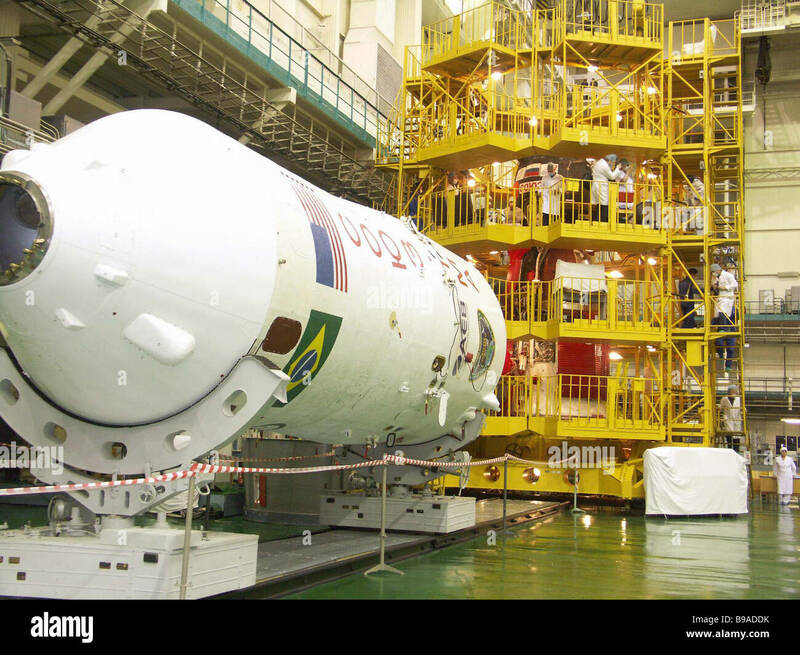 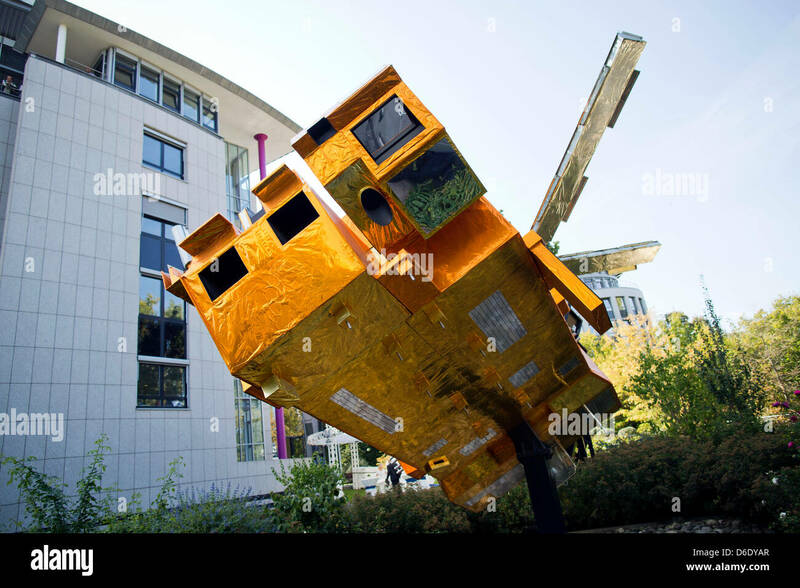 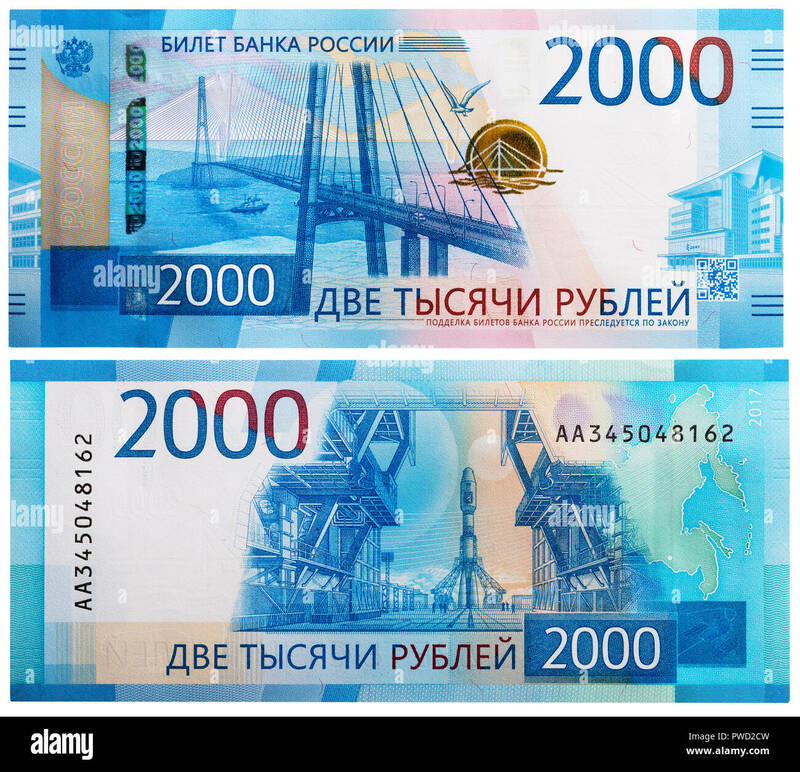 It will be launched on friday morning. 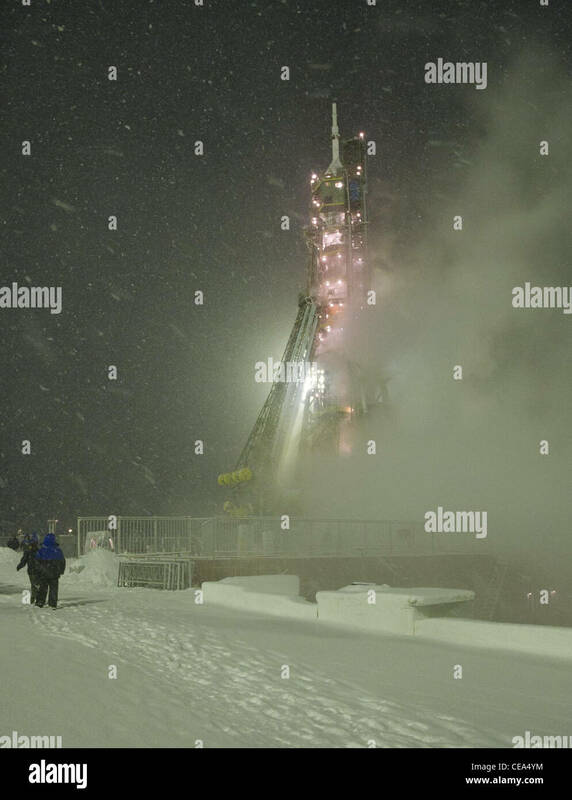 October 10, 2008 - The Soyuz TMA-13 spacecraft arrives at the launch pad at the Baikonur Cosmodrome in Kazakhstan.